What is the ‘Intrinsic Value’ of a Stock? What are its components? How do they affect the way the company’s Stock is likely to behave? We will attempt to answer these seemingly daunting questions in simple terms and with relevant, real-world examples. Intrinsic Value – What is it Anyway? I personally rely exclusively on Discounted Cash Flow / Dividend Discounting sort of models to estimate the intrinsic value of stocks. The world’s foremost authority on Discounted Cash Flows, is in my opinion, none other than Mr. Warren Buffett, the billionaire investor and the Chairman of the half-a-trillion-dollar entity that is Berkshire Hathaway. He’s as good a teacher as he is an investor. Think about what he’s trying to say. In a Government Bond, you have pre-determined cash flows (Coupon Payments and Principal Repayment), a time period in which the cash flows will be credited to your bank account (Maturity) and a Risk-free Rate, which allows you to account for the Time Value of Money. Now consider a Stock. How is it different from a Government Bond? You still have Cash Flows (Dividends and/or Free Cash Flow to Equity), but they’re not pre-determined. Businesses do not produce results in a straight line. You do have a time period, but it’s generally very long. In other words, this will be the entire Business Life Cycle of a company. You also have a Discounting Rate, which is usually the Risk-free Rate + a Risk Premium you charge to account for the fluctuation in the results (Fluctuation which does not exist in a Government Bond). That’s it. These are the differences. So, if you are in agreement that a Bond should be valued at the Present Value of all its Coupons and Face Value, you should have no qualms in accepting that a Stock should be valued in a similar fashion too — except, it takes more time to value a Stock than it does a Government Bond. Without further ado, let’s take a look into each of them and why I think they matter when it comes to Value. Explicit Divers of Value are those factors which are readily considered by amateur investors while investing in a stock. In fact, most Analysts trying to sell their reports highlight the ‘Explicit Drivers’ the most, because they are easily understandable by the common man. Management Teams also mostly flaunt their Explicit Drivers in order to boost their rapport with the shareholders. It’s made up of two sub-components: Growth and Margins. The easiest of all the drivers. We know for a fact that as a company sells more of its products and services, the more it is known and the more revenue it produces. While thinking about how a company can grow, it has to be tied to reality. For example, a while back I valued D-Mart, the famous Indian retail chain. In it, I had assumed that the company will grow its Revenues at the rate of 35% in the initial years, and dropping to 25% for the farther years. Here is how I attempted to ‘justify’ my assumptions. I took the Invested Capital of D-Mart from 2009-2018 and used it to calculate Capital Required per Store, based on the CEO’s comment that D-Mart had been growing at a pace of 10 stores per year. I also calculated the Growth in the Cost of Acquisition per store for the period. This allowed me to project the Capital Invested per store from 2019-2028. Then, working backwards with this information and my own assumptions of Invested Capital, I calculated that from 2019-2028, D-Mart will grow at an average of 19 stores per year. This coincides with the CEO’s vision of boosting D-Mart growth from 10-ish to 15-20-ish in the next decade or so. Hence, my set of assumptions for Sales Growth stood justified. However, not all growth is good. Sustainable Growth Rate is the rate at which a company can grow its Revenue without resorting to raising additional capital, which is detrimental to Shareholders. Therefore while valuing a company, it is advisable to restrict oneself to the SGR, unless there’s a very good reason that the company’s products will suddenly become more desirable. This refers to the Net Margins of a company. Prof. Sanjay Bakshi often quips that the best kind of value creation happens with a ‘Margin Expansion’ i.e. when a company is able to charge more from the customer for the same kind of products or services they have been selling for so long. Warren Buffet also claims that the best measure of a Durable Competitive Advantage is to ask whether the company will be able to raise prices tomorrow without affecting sales. Of course, it is also not hard to imagine how a company can save more on its Margins by simply being cost-efficient. Clearly, a steady or increasing Net Margins is a favorable feature in a company. As Prof. Bakshi was so apt to note, indeed Margins contribute a whole lot to Value creation. One only needs to look at some of the biggest Multi-baggers to realize this truth (Say, Symphony, Eicher Motors etc). But this means that the opposite is also true. Take the case of Lupin, for instance. In the last five years, Lupin’s Sales has grown by 10.38%, but its Profits have decreased by 26% and change. This is because their Net Margins have fallen from 18% to 1% in the same period. In fact, Lupin has created very little value for someone who bought its stock 5 years back. It’s currently trading at almost the same level as it was half a decade back. So while attempting to value a company, one has to ask the question “Will this company be able to charge more prices for the same kind of product/service in the future?” or “Will this company be able to spend less for producing the same kind of product/service in the future?” and depending on the answer (Based on research and groundwork), the Margin assumptions can be made. 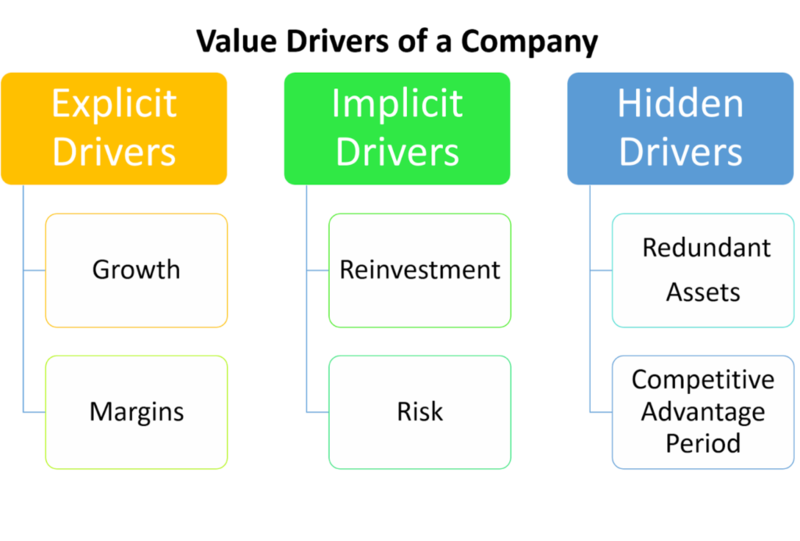 Implicit Drivers are those factors which are considered in line with the Explicit Drivers by good investors. They know for a fact that the Explicit Drivers are superficial if the Implicit Drivers are not up to the mark. Reinvestment and Risk are the two Implicit Drivers of a Stock’s Value. Remember earlier when I said ‘All growth is not good’? While a part of it has to do with the concept of the SGR, a bigger part of it lies with the concept of ‘Reinvestment’ or the amount of Assets a company has to reinvest to a certain level of growth. Let me provide you with two investment opportunities. Company A, which may produce Rs. 100 in Profit, but has to reinvest Rs. 50 in order to end up with that profit. Company B, which may produce Rs. 10 in Profit, but has to reinvest Rs. 3 in order to end up with that profit. If you are a smart investor, you will choose Company B, because they are more productive, that is to say, they only require 30% of their profits to be ‘reinvested’, while Company A requires 50% of their profits. The efficiency is Reinvestment is usually measured via the Return Ratios (Return on Capital Employed, Return on Invested Capital, Return on Equity). Charlie Munger, Warren Buffet’s investing partner, loves companies with massive Returns on Invested Capital. It is almost guaranteed that for a stock to grow multi-fold, the company has to temporarily or permanently boost their productivity. On the other hand, look at any company in a flailing industry (Say, Telecom) and you will realize that they haven’t created any value in the last decade because they found it more and more difficult to retain customers without investing in advertising or some sort of new technology. Bharti Airtel has grown its Sales by 10% over the last decade, yet it has destroyed value for its shareholders over the same time (Imagine having to hold a stock for 10 years, only to end up with a loss). In fact, it took a massive disruption in Jio to make the entire industry re-think how they can invest better to create value. Risk is very personal and it’s not quite easy to explain. In fact, I wrote an entire blog post attempting to explain the fact, but I am pretty sure I didn’t even scratch the surface with understanding Risk. Without getting into complex monsters such as the Capital Asset Pricing Model or the Fama-French Five-Factor Model, the most logical definition of ‘Risk’ is an opportunity foregone. I personally use a Discounting Rate of 15% for most of my valuations, because that is the median long term returns on Mutual Funds investments in India (The actual figure is 14.88% if you are curious). 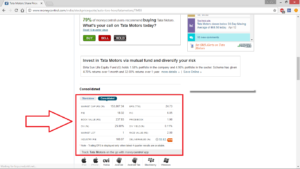 So my ‘next best option’ to investing in any stock is investing in a Mutual Fund scheme. This is where it gets ‘personal’. Some people may not consider investing in a Mutual Fund as their next best option. For a Hedge Fund specializing in Start-ups, 15% may be chump change, so they may demand anywhere between 50–60% on their investments. At the same time, for a retired pensioner, even an 8% return from a Post Office scheme would look amazing. However, even a retired pensioner can invest in an index fund and earn close to 12–13% over the long term (In India). So it’s not wise for anyone to demand anything lesser than the long term index returns in their country (For instance, in the US, it is about 8–9%). But some academics consider the Risk-free Rate (Usually the 10-year local Government Bond yield) as the true Discounting Rate for any valuation. These are Value Drivers which can be ascertained only by master investors. They aren’t found in Management Commentary, Financial Statements or Analyst Reports. They require additional research to be uncovered. These are mostly Real Estate or some sort of Patent/Right held by the company, which has been long since written off from the books. However, if they were actually sold in the market, they might fetch a fortune for the shareholders of the company. In the Indian context, Wonderla would be a good example. The company is currently trading at about Rs. 1550 Crores, but the company has unused land parcels of around Rs. 1000 Crores. Of course, this doesn’t mean that the company automatically demands supreme valuation. It simply means that if an investor finds the company’s intrinsic value to be Rs. 600 Crores only, he can go ahead and purchase the stock, because the intrinsic value is actually Rs. 1600 Crores, thanks to the ‘Redundant Asset’ in unused land. But finding this bare fact isn’t really useful all the time. Take the case of Binny Mills. Binny Limited, the listed entity which holds Binny Mills, also holds several land parcels and real estate (Mills) in Chennai. But they hold these properties in North Chennai, which is crowded and used to be a trading hub decades back (When ‘street shopping’ was famous). Nobody wants these properties, because of them being located in an archaic trading community. If it was possible to sell these off, some rich investor would have bought out Binny Mills and sold it for parts. thereby netting himself a cool profit via a Special Dividend. The fact that this hasn’t happened tells us the follies of betting on companies simply because the company has a hidden “land bank”. I saved the best for the last. This relates to the most sought-after four-letter magic word in investing: Moat. Before giving my views on this, you should check out Michael Mauboussin’s paper on this topic. It’s bloody brilliant. It is economic truth that if a specific kind of business is profitable, competitors will emerge to get their own piece of the pie. ‘CAP’ measures how long a company can fend off the competitors, while keeping most of the pie for themselves. This is often too difficult to measure or even see, because the beauty of a good moat is realized over very long time periods. Left unattended, some competitors will breach the moat and run off with a piece of the pie. Let unattended for a long time, the moat will dry up and the survival of the company itself will become a concern. Once again in the Indian context, I think Eveready Industries would be a great example. Post its initial success as a battery-maker, Eveready’s profits started to dwindle from 2007–2012. But the company still had an amazing ‘Moat’—the brand name, which is known to almost every Indian who’s ever used battery-run appliances. Post 2012, the new management levered the brand name into several new divisions, especially the consumer electronics space, where their products have picked up with little to no investment, thanks to the company’s brand name. The profits in the last 5 years have ballooned at an amazing pace of 56% and more. One could argue that Eveready Industries’ CAP has been lengthened dramatically, which led to the sudden spike in their stock price. I usually use a 10–20 year projection period, based on a company having no moat, having a thin moat or having a massive moat. The truth stands that very good moats can make companies have CAPs in excess of 20 years (Think Coca-Cola). However, the Time Value of Money will make sure that profits earned 100 years from now aren’t as important as the ones earned, say, 15 years from now. I still adjust for this by demanding a lesser Margin of Safety for companies that have a proven operating model and a Moat. In the end, this is just the theory behind why I do what I do when I Value a company. To put it lightly, Value is a marriage of numbers and stories. One cannot do without the other. Only when these ‘stories’ are grounded in reality using ‘numbers’, does the Valuation get complete? I’m the quintessential geek and a strong INTP-A. Saying ‘I am passionate about investing’ would be an understatement. I have been investing my own and my family’s money in the Indian markets since 2016. I’m also a voracious reader and listener of topics ranging from cattle rearing to particle physics. When I am not busy investing or reading, I blog about Valuations and Markets at Valuation in Motion. I believe that finance is as simple as knowing where your last dime went. And I hope to show you how. 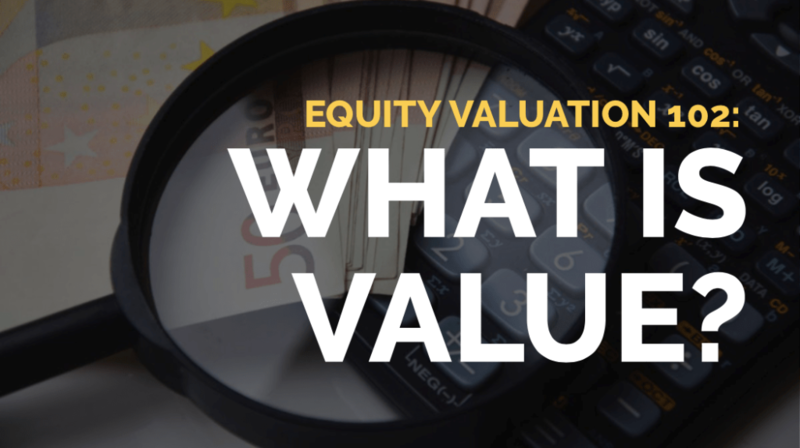 Equity Valuation 101: Why Value? A prominent question many people have about investing in stocks is, “Does the purchase price matter?” or “Should I value a stock before purchasing it”? A lot of financial theory argues that you shouldn’t. They say, markets are always efficient in pricing securities and you should rather worry about decreasing frictional costs like brokerage charges, transaction charges, churn costs and so on. “It was always clear to me that the stock market couldn’t be perfectly efficient, because, as a teenager, I’d been to the racetrack in Omaha where they had the pari-mutuel system. And it was quite obvious to me that if the ‘house take’, the croupier’s take, was seventeen percent, some people consistently lost a lot less than seventeen percent of all their bets, and other people consistently lost more than seventeen percent of all their bets. So the pari-mutuel system in Omaha had no perfect efficiency. And so I didn’t accept the argument that the stock market was always perfectly efficient in creating rational prices. The stock market is the same way – except that the house handle is so much lower. If you take transaction costs – the spread between the bid and the ask plus the commissions – and if you don’t trade too actively, you’re talking about fairly low transaction costs. So that, with enough fanaticism and enough discipline, some of the shrewd people are going to get way better results than average in the nature of things. Interesting. So, what’s ‘Parimutuel Betting‘? You are told that 100 people have laid down their bets (Let’s call them the ‘Horse Market’) and the total pool of bets is $4,050. Indirectly, you can assess how these 100 people have determined the probability of winning, or ‘Odds’ of winning, for each of these horses. In fact, Horse #6 seems to be an overwhelming favorite, with $1,700 bet for the horse. 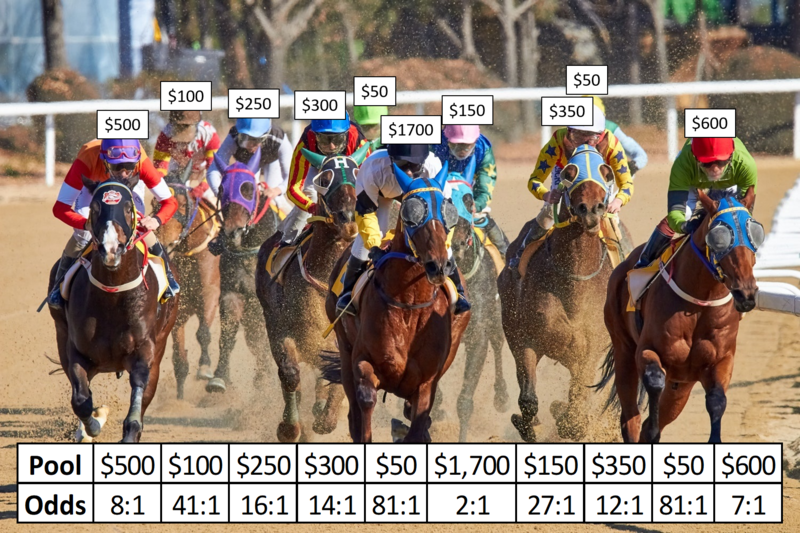 But before blindly betting on Horse #6, you need to understand the most important thing about Parimutuel Betting. If Horse #6 indeed wins, everyone who bet on Horse #6 will get $4,050 i.e. Everyone will make roughly 2 times of their bet amount (For convenience, let’s just say the remaining 0.38 times is participation fee). Is that good? Hold your horses (Pun intended)! If you bet on Horse #5 or Horse #9 instead, you can make 81 times the money, instead of the paltry 2 times. Well, well, now is this a better bet? Logically speaking, these horses have had a very little bet on them because they may be poor to begin with. The 100 gamblers already know this. That’s why only 1-2 of them have placed bets for these horses. You shouldn’t bet blindly on Horse #6, because you will only make only 2 times the money, the lowest reward of the lot. Even when Horse #6 can be deemed the healthiest horse with the most skilled jockey, the payout is simply too low. You shouldn’t bet blindly on Horses #5 or #9, even though they have an astronomical payout of 81 times. It is more likely that Horses #5 or #9 could be sick/weak or their jockeys inexperienced. The sweet spot, therefore, is in a bet where you think there’s mispricing i.e. A bet where the ‘Odds’ have been miscalculated by the Horse Market people. Take Horse #1 for instance. The Odds here are 8:1 i.e. The Horse Market people think there’s only a 12.50% (1/8) Probability of this horse winning. If you believe that these Odds are somehow way wrong i.e. If you believe that this horse actually has a 25% (1/4) Probability of winning, then you should consider betting on this one. Of course, you should repeat this exercise for all the horses and figure out which one has the most mispriced Odds and bet on that one. You shouldn’t invest blindly in the well-known, excellent company. Although these type of companies have the lowest probability of making a Capital Loss (i.e. Chance of not achieving the Average Returns) over the long term, they also have a low, 15% returns over the long term. Put together, they have an Expected Returns of 12%, which is neither too high, nor too low. You shouldn’t invest blindly in the unknown, terrible company. Although these type of companies can become potential ‘multi-baggers’ over the long term, clocking a CAGR of 23%, they also come with a high 50% risk of a potential Capital Loss. Put together, they have an Expected Returns of 11.50%, the lowest of the lot. The sweet spot, therefore, could be in the lesser-known, mediocre companies. These type of companies offer a decent 18% CAGR over the long term and also come with a moderate, 30% Capital Loss probability. Put together, they have an Expected Returns of 12.60%, the highest of the lot. Of course, this is just an example. There are thousands of Stocks listed around the world and there might very well be numerous permutations and combinations of this in action at any given time. Instead of the 100 people from our horse betting example, the Stock Market consists of millions of people. They are pricing the odds for a stock every moment a trade is executed. It is an investor’s job to figure out the most mispriced bet and pick it up. Just remember. You don’t make the most money-per-risk-taken by betting on the most favorite gamble. And you don’t make the most money-per-risk-taken by betting on the least favorite gamble, either. You make the most money-per-risk-taken by betting on the gamble where the odds are highly mispriced. That’s it for today! I’ve used the word ‘Intrinsic Value’ several times in this post, without really letting on much what it is supposed to be. Think about what it means. Let’s explore this more in ‘Equity Valuation 102’, the next post. How to Evaluate Inventory on Balance Sheet? In the past two decades, we have seen countless companies which turned from zero to over billion rupees in market value with very limited inventories. It’s true that companies in the information sector (which only require a laptop and internet connection) doesn’t need a lot of inventories. After all, if the sole purpose of a company is running their mobile app (Android/iOS) and offering services through them, then what physical inventories they actually need apart from hosting, customer support and a few other development tools. 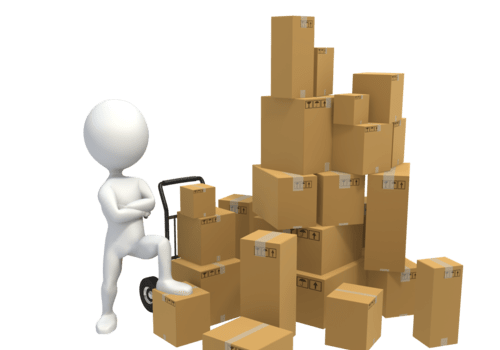 On the other hand, if you look into manufacturing companies which offer goods to the people/organization, inventory analysis plays a crucial role. The inventories of those companies are their most valuable current assets as they contribute directly to the source of revenue. 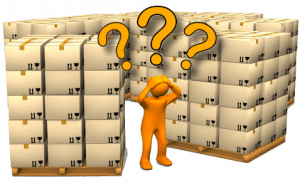 In this post, we’ll discuss what is an inventory and how to evaluate inventory on balance sheet. Integratory can be defined as the goods available for sale and raw materials used to produce those goods. In other words, these can be the raw materials, goods in process and the finished goods. There are a number of advantages of keeping sufficient inventories for a company. For example, if the company has the necessary inventories, it can quickly meet the customer orders. Stock in hand improves customer experiences. Moreover, in a few sectors, high inventories may make an attractive display and increase conversions. On the other hand, delays in fulfilling orders, empty shelves and products out of stocks might drive away customers to the competitors. And therefore, inventory control is a key area for the company’s management to focus. In case the company has excess inventories, it may be a little troublesome for them. Too much inventories involve a higher cost of storage, damage issues, and insurance costs. It may also lead to increased wastage of goods if the inventories are perishable or the threat of obsolescence in case the products changes fast. Moreover, if the company is spending a lot of money on excessive inventories, it is fixing that money which they could have used in other potentially rewarding opportunities. And that’s why excessive inventories should be controlled by the company. The Inventory level of a company can be evaluated by using the inventory to current asset ratio. This ratio reflects how much percentage of the current asset is kept as inventory. Although the ideal inventory to current asset ratio varies industry-to-industry as a few industries may require more inventories in their shelves for timely operations compared to other. However, as a thumb rule, this ratio should be less than 40%. Moreover, try avoiding to invest in companies with inventory to current asset ratio greater than 60% as this might reflect too much inventories and the management’s inefficiency in inventory control. For example, here is the balance sheet of Hindustan Unilever (HUL). Let’s calculate its inventory to current assets ratio. For Hindustan Unilever, if you calculate the inventory to current assets ratio, you can find it equal to 30.75% for the year ending March 2018. In the last 5 years, this ratio has been continuously increasing- 21.55% (2014), 24.87%(2015), 26.87%(2016), 28.54%(2017), which means that HUL is spending more on their inventories. As the inventory to current assets ratio is still under satisfactory level, this can be considered healthy for the company. 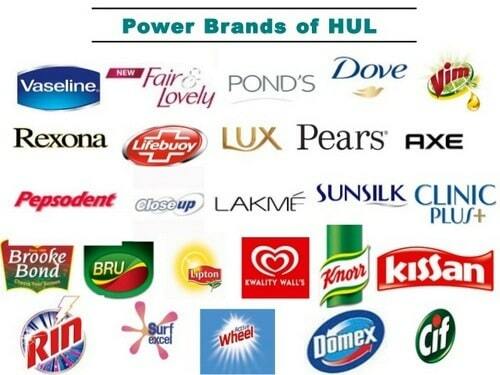 However, to get a better idea, you need to compare the inventory to current assets ratio of HUL with its competitors in the consumer goods segment. Note: If you are new to the financial world and want to learn how to effectively read the financial statements of companies, feel free to check out this awesome online course on Introduction to Financial Statements & Ratio Analysis. 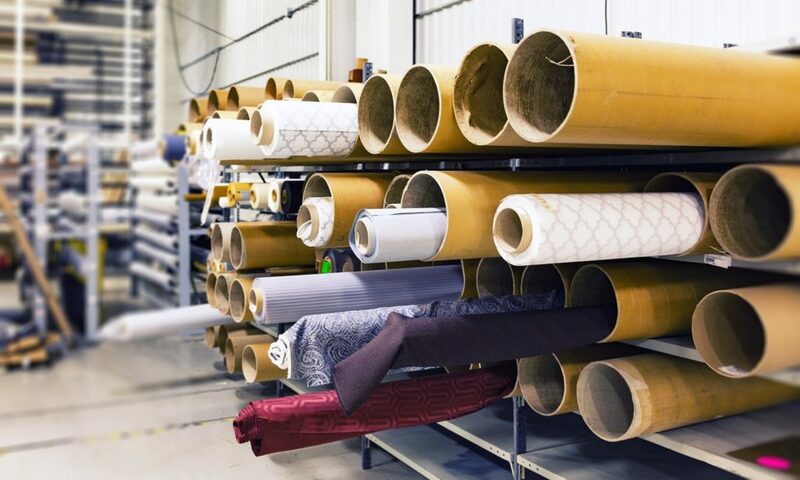 Although inventories are often ignored while evaluating companies in many industries, however, they are still one of the most crucial assets of a company. And that’s why inventory control is an important area to focus. A low inventory level may lead to delays in completing orders, empty shelves and out of stocks which are not a good experience for the customers. On the flip side, excess inventory might lead to higher cost of storage, damage issues, insurance costs, spoilage costs or the threat of obsolescence. 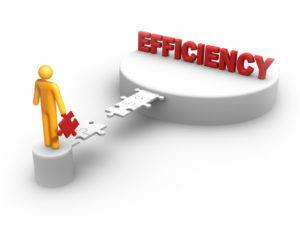 In order for a company to work effectively, its necessary to have sufficient (but not excess) inventories. How To Evaluate The Cash Of A Business? How to find the last 10 year financial statements of Indian Companies? When I worked as a Trainee at Tata Motors, I got to know about the term payload. In easy words, it is simply the load carried by a vehicle. The payload helps the owner to determ­ine how much they can fit in their vehicle and moreover how many trips they have to take to carry a specific load. During that time, once I was walking with my manager and we were discussing a light truck – Tata 407, which could carry 2.25 tonnes of payload. And we started talking about its payload. My manager told me that most of the commercial vehicles in India are almost always overloaded and easily crosses the prescribed payload. I asked him why do the Tata trucks perform so well then and why it doesn’t break? Obviously, if you overload the truck with twice its capacity, it should snap. And his answer was Margin of safety!! Before developing any new vehicle, there’s a comprehensive study done on consumer behavior. And the R&D team of Tata knew this Indian behavior of overloading the truck in order to reduce the total number of trips to carry out the goods. And that’s why the load capacity of the Tata trucks are always more than what specified in the manual. Moreover, here having a safety is a must for Tata trucks as they are known for their strength and the brand image matters a lot while selling vehicles in the automobile segment. They couldn’t afford to get their brand image ruined by not having a margin on their vehicle’s load capacity. A similar concept of safety is used in the investing world to reduce the risk and maximize the profit. In fact, it is the central concept of value investing. The margin of safety means purchasing the stock when the market price of the company is significantly below its intrinsic value. Here, the difference in the intrinsic value and your purchase price is called the d Margin of Safety (MOS). The fundamental analysts believe that there is a true (intrinsic) value for all the company which can be found by reading financials of the company. Moreover, they also believe that the stocks do not trade at their true intrinsic value at most of the time because of speculations and other short term market behavior. A stock can be overvalued or undervalued at any moment of time. And that’s why Investors can make good profits by purchasing stocks when they are trading at a discount i.e. below their true value. 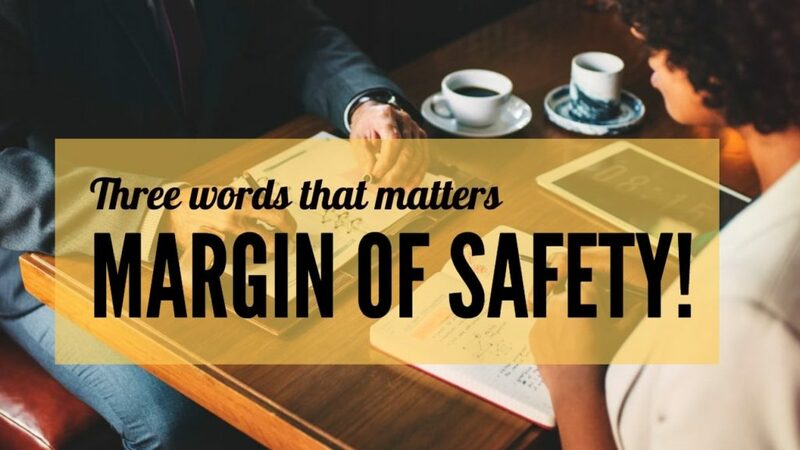 The margin of safety helps to safeguard the investments against calculation error, human error, judgment errors or any other unexpected occurrences concerning the market or stocks. The margin of safety plays a significant role while purchasing stocks. For example, if you think a stock is valued at Rs 100 per share (fairly). Then, there is no harm in giving yourself some benefit of the doubt that you may be wrong with your judgment and calculation. And hence, you should buy that stocks at Rs 70 or Rs 80 instead of Rs 100. Here, the difference in the calculated intrinsic amount and your final purchase price is your margin of safety. The ideal margin of safety depends on the risk tolerance of an investor. The strict value investors may have a MOS of over 50% to minimize the downside risk. On the other hand, aggressive investors may choose a comfortable MOS of 10–15%. As a rule of thumb, always have a margin of safety of between 10–30% on the intrinsic value of the stock while making your investment decisions. Moreover, apart from the risk tolerance of the investor, this margin of safety percentage also depends on how risky the investment is. If you are investing in a safe blue chip stock, this margin of safety can be comparatively lower than the MOS on high-growth riskier small-cap stocks. The concept of Margin of safety was poularized by the legendary investor, Benjamin Graham (also known as the father of value investing). He used his ‘Graham formula’ to find the true value of companies, and if the stock was trading way below the intrinsic value, only then he would purchase them. This concept of MOS was later inherited by Warren Buffett, a student of Ben Graham. A few other methods to find the intrinsic value of a company is the dividend discount model (DDM), EPS valuation, relative valuation etc. Having a margin of safety in the investments helps the investors to minimize the downside risk. However, an important point to highlight here is that having a MOS does not guarantee that the investment will always be profitable. Finding the intrinsic value of the company correctly also plays a crucial role here. And therefore, you should spend a significant amount of time valuing the stocks suitably. Nevertheless, a meaningful discount on the purchase price compared to the intrinsic value can limit your losses and maximize the profits on your investments. How to value stocks using DCF Analysis? Share market is a place where one can sell you a one-liter packet of milk for Rs 1,000 and if you might be even happy to purchase that. It’s completely impossible to decide whether a stock is overvalued or undervalued just by looking at the market price of the company. And that’s why valuation is a crucial factor while deciding whether to invest in a stock or not. You do not want to purchase a stock at ten times its valuation. After all, a good company may not be a good investment if you are overpaying for it. It’s always preferable to invest in stocks when they are trading below their true (intrinsic) value. Nevertheless, evaluating the value of a company using this definition is easier said than done. After all, finding the intrinsic value of a stock requires forecasting the future cash flows of a company which needs a lot of calculated assumptions like growth rate, discount rate, terminal value etc. Anyways, one of the most popular approaches to find the intrinsic value of a company is the discounted cash flow (DCF) analysis. In this post, we are going to discuss the step-by-step explanation of how to find the true value of a stock using the DCF method. Further, we’ll also perform the DCF analysis on a real-life company listed in the Indian stock market to find its true value. Quick note: I’ll try to keep the explanation as simple as possible so that you can easily understand the fundamentals. Let’s get started. Before we start the actual calculations, let’s quickly discuss what exactly is discounted cash flow analysis. Discounted cash flow (DCF) is a valuation method used to estimate the attractiveness of an investment opportunity. In other words, discounted cash flow analysis forecasts the future cash flow of a company and later discounts them back to their present value to find the true intrinsic value of the stock (at the time of calculation). Further, I would also like to mention that valuing stocks using the DCF method requires a little knowledge of a few common financial terms like free cash flow, discount rate, growth rate, outstanding shares etc. Here is a quick walk through the key inputs required in the discounted cash flow analysis. Also read: What is Free Cash Flow (FCF)? Explained in Just 1,000 Words. 2. Growth Rate: It is the expected rate at which the company may grow in the upcoming 5–10 years. It’s really important to use a realistic growth rate for efficient calculations. Else, the calculated intrinsic value might be misleading. 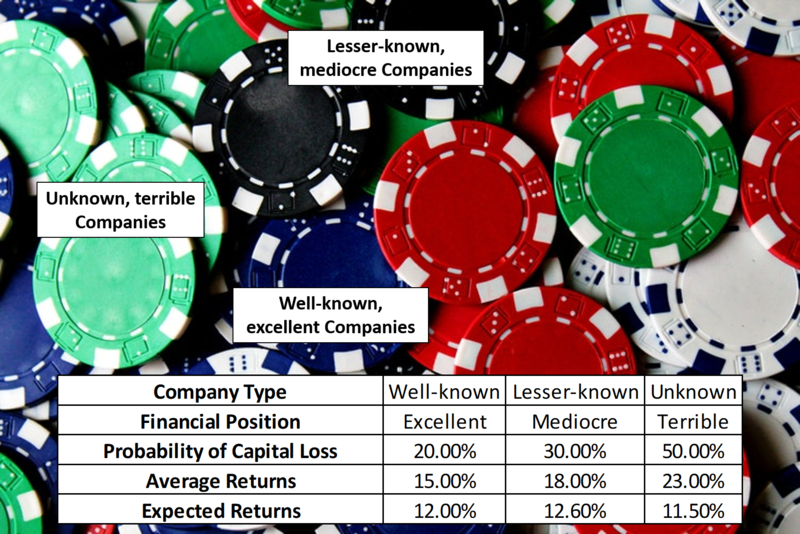 Different investors use different approaches to find the expected growth rate of a company. 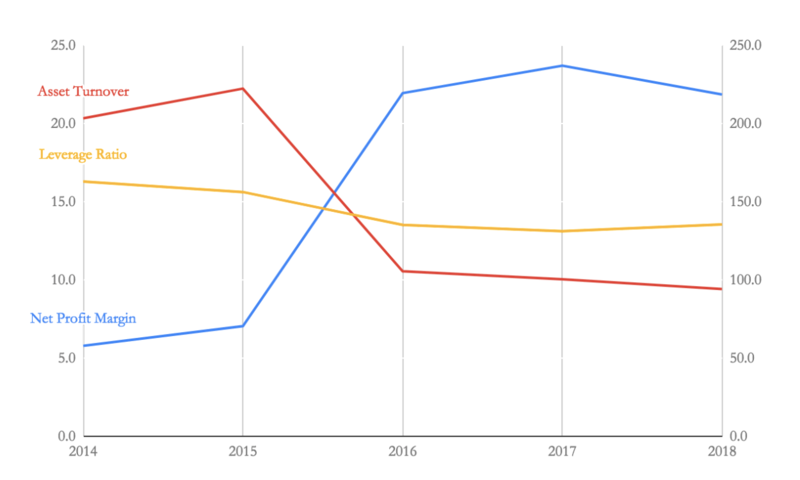 Few of the common ways are by looking at the historical growth rate for the earnings/profits, reading the analysts reports to find out what they are forecasting, peeking in the company’s annual report/latest news to find out what the management/CEO is saying regarding the company’s growth rate in upcoming years etc. 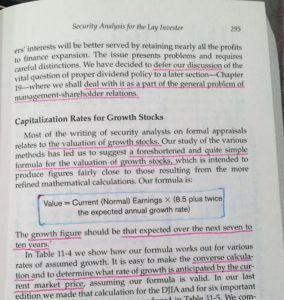 Quick Note: In the book- ‘The little book of valuation‘, the author Aswath Damodaran has used an interesting method to find the growth rate of a firm. He argues that for a firm to grow, it has to either manage its assets better (efficiency growth) or make new investments (new investment growth). He used the multiple of proportion invested and return on investment to arrive at the growth rate in earnings. If you haven’t read his book, it is a good place for the beginners to start learning valuation of stocks. 3. Discount rate: The discount rate is usually calculated by CAPM (Capital asset pricing model). However, you can also use the discount rate as the rate of return that they want to earn from the stock. For example, let’s say that you want an annual return rate of 12%, then you can use it as the discount rate. As a thumb rule for the discount rate, use a higher value if the stock is riskier and a lower discount rate if the stock is safer (like blue chips). This rule is in accordance with the principle of the risk-reward which claims a higher reward for a higher risk. 4. Terminal Multiple Factor: This is the fourth input of the DCF calculation that is used to find the terminal value of the company. Terminal value is the estimated value of a business beyond the explicit forecast period. It is a critical part of the DCF model as it typically makes up a large percentage of the total value of a business. There are two approaches to the terminal value formula: (1) perpetual growth, and (2) exit multiple. In this post, we are going to use the exit multiple approach. This approach is more common among industry professionals as they prefer to compare the value of a business to something they can observe in the market. The most commonly used terminal factor is EV / EBITDA. (Read more here). First, take the average of the last three years free cash flow (FCF) of the company. Next, multiply this calculated FCF with the expected growth rate to estimate the free cash flows of future years. Then, calculate the net present value of this cash flow by dividing it by the discount factor. Repeat the same process for the next 10 years to find the net present value (NPV) of the future free cash flows. Add the NPV’s of the FCF for all the ten years. Next, find the terminal value the stock by multiplying the final year FCF with a terminal multiple factor. Add the values from step 4 and 5 and adjust the total cash and debt (mentioned in the balance sheet of the company) to arrive at the market value for the entire company. Finally, divide the calculated number in step 6 by the total number of outstanding shares to arrive at the intrinsic value per share of the company. If the final intrinsic value of the company is lower than the current market price of the share, then it can be considered undervalued (and a good time to invest in that stock assuming the quality of the stock is also amazing). On the other hand, if the final intrinsic value of the company is greater than the current market value, then the stock might be over-valued. In such a scenario, it’s better to keep that stock in the watchlist and wait for the price to come down within the purchase range. That’s all. This is the exact approach used to find the discounted cash flow value of any company. 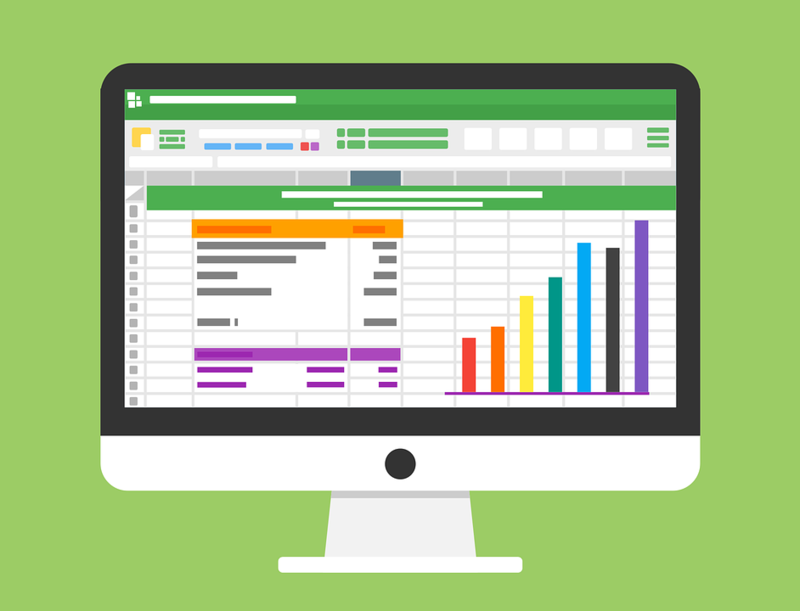 In any case, if you are not comfortable in performing DCF valuation using excel sheets, you can also use the Trade Brains’ online DCF calculator to find the intrinsic value of a stock. Here’s a link to our simplified online DCF calculator (It’s free to use). Real life example of valuing stocks from Indian stock market using DCF analysis. First, we will start by finding the free cash flow of Ashok Leyland. Here, we’ll take the FCF for the last 3 years and consider their average as a reasonable FCF. Now, free cash flow is equal to cash from operating activates minus the capital expenditures. The average FCF for the last three years turns out to be Rs 1715 Cr. Next, we’ll project this FCF only for the upcoming ten years. Although, the company may continue for many more years after the tenth year, however predicting free cash flow for over 10 years is really difficult. Therefore, we assume that the company will sell off all its assets at the end of year ten at a ‘Sell off valuation’ (Terminal value). We’ll use a multiplier of 9 for the tenth year cash flow to simulate the value of these cash flows in the case company would sell all its assets (This is a necessary assumption that we need to make in order to find the value of the company). 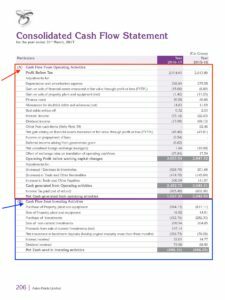 Apart from the cash flows, the next important input is cash and cash equivalents which the company reflects on its balance sheet. For Ashok Leyland, this value is equal to Rs 993 Cr. Besides cash, the next essential input is the debt (as debts have to be first paid off and shareholders are last in the line). Ashok Leyland has a total debt of Rs 515 Cr. Next, we need to find the annual growth rate for Ashok Leyland. From the historical reports, we’ll consider a conservative growth rate of 12.75% per annum for our calculations of forecasted cash-flow. Further, here we are considering a discount rate of 13.5% for discounting the future cash flows to their present value. In addition, we need the total numbers of outstanding shares of Ashok Leyland. It is equal to 294 Crores. Finally, let’s take a margin of safety of 10% on the overall calculated intrinsic value to give our calculations a benefit of doubt. (Higher the margin of safety, lower is the risk). After placing the above values in the online DCF Calculator, the intrinsic value per share of Ashok Leyland turns out to be Rs 93.19 (after a margin of safety of 10% on the final intrinsic price). This is the true value estimate per share for Ashok Leyland at the time of writing using the DCF model. The current stock price of Ashok Leyland is at Rs 105.55. This means that this stock is currently slightly overvalued compared to the calculated intrinsic price. Quick Note: This intrinsic value is based on my calculations and assumptions. Although I’ve tried to be reasonably conservative in using the inputs, still no valuation should be considered precise as there is no guarantee that the company will grow at the assumed growth rate for the upcoming years. The key while performing DCF is to always consider rational inputs to arrive at a roughly correct intrinsic value. Also read: How to Find Intrinsic Value of Stocks Using Graham Formula? Now that you have understood how to value stocks using the DCF analysis approach, let me give you a FAIR WARNING. 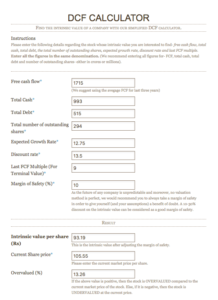 DCF is a very powerful tool for valuing stocks. However, this methodology is only as good as the inputs. For example, even a small change in inputs (like growth rate or discount rate) can bring large changes in the estimated value of the company. (Try changing these values by 1% or 2% and you can notice a significant change in the result). In short, if the inputs are not reasonable, the out will also not be correct -’Garbage in, garbage out’. Therefore, fill all the inputs carefully as they all have the potential to erode the accuracy in the estimated intrinsic value. DCF method is a very powerful method of valuing stocks. However, this method requires rational inputs. Many investors who have already made up their mind to purchase a stock, can easily infiltrate the final result by assuming a higher growth rate/ terminal value or a lower discount rate. However, if you are choosing wrong or unrealistic inputs for growth rate, discount rate etc, the final intrinsic value per share may also be incorrect. Therefore, it is always recommended to use conservative inputs while performing DCF valuation. That’s all for this post. I hope it is useful to you. If you have any questions, feel free to comment below. Happy Investing. If you are new to investing, you can learn how to perform stock valuation and pick profitable shares for consistent returns in the Indian stock market with Trade Brains flagship course ‘How to pick winning stocks’. It is a self-paced online course with lifetime access so that you can learn on your own schedule. This course is currently available at a discount. Check out more here. Happy investing!!! How to Find Intrinsic Value of Stocks Using Graham Formula? Valuation is one of the most important aspects while investigating any stock for investing. A good business might not be a good investment if you overpay for it. However, most valuation methods like DCF analysis, EPS valuation, dividend discount model etc requires little assumptions and calculations. 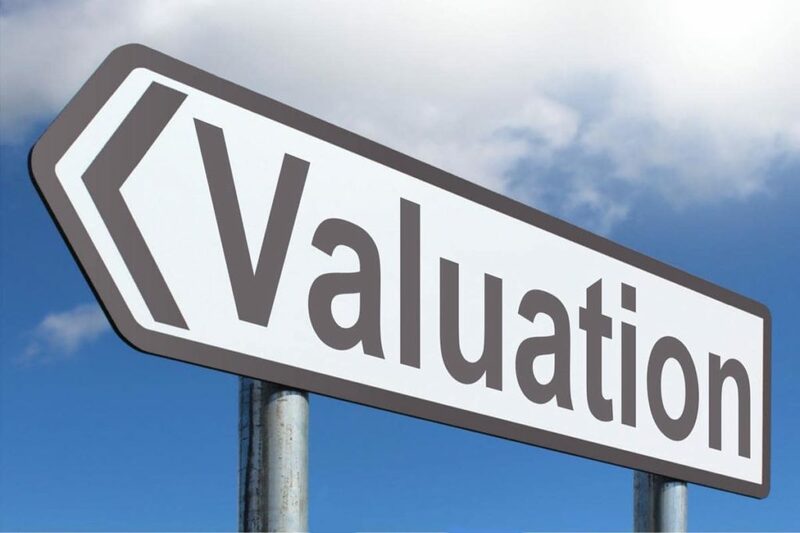 Luckily, there are also a few valuation methods available that are pretty simple to use in order to find the true value of a company. 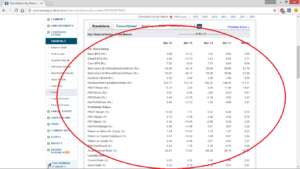 How to find the intrinsic value of stocks using Graham formula? Pros and cons of graham formula. Real life example of valuing stocks from Indian stock market using graham formula. Overall, this post is going to be really helpful for all the beginners who are stuck with the valuation of stocks and want to learn the easiest approach to find the true intrinsic value of companies. Therefore, make sure to read this post till the end. Referred to as “The father of value investing”. A professor at Columbia business school. Graham was a strict follower of value investing and preferred purchasing amazing businesses when they were trading at a significant discount. 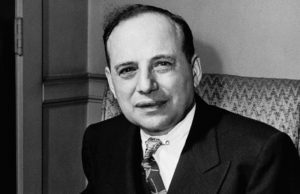 In his book- Security analysis, Benjamin Graham mentioned his formula to pick stocks which become overly popular among stock market investors for valuing stocks since then. 2. How to find the intrinsic value of stocks using Graham formula? During 1962 in the United States, the risk-free rate of return was 4.4% (this can also be considered as the minimum required rate of return). However, to adjust the formula to the present, we divide 4.4 by the current AAA corporate bond yield (Y) to make the formula legit. Presently, the AAA corporate bonds are yielding close to 4.22% in the United States. (Source: YCharts). In order to make an apple to apple comparison, we’ll consider the bond yield for 1962 and current yield- both for the United States. Therefore, you can consider the value of Y equal to 4.22% currently, which may be subjected to change in the future. Quick note: You can also use the corporate bond yield of India in 1962 and current yield to normalize the equation for valuing Indian stocks. In such case, the value 4.4. will be replaced by the Indian corporate bond yield in 1962 and Y will be the current corporate bond yield in India. Make sure to use the correct values. Note: The Adjusted Graham formula for conservative investors. Many conservative investors have even modified the Graham formula further to reach a defensive intrinsic value of the stocks. For example, Graham originally used 8.5 as the PE of the company with zero growth. However, many investors use this zero growth PE between 7 to 9, depending on the industry they are investigating and their own approach. Further, Graham used a growth multiple of ‘2’ in his original equation. However, many investors argue that during Graham’s time, there were not many companies with a high growth rate, such as technology stocks which may grow at 15-25% per annum. Here, if you multiply this growth rate with a factor of ‘2’, the calculated intrinsic value can be quite aggressive. And hence, many investors use a factor of 1 or 1.5 for the growth rate multiple in their calculations. 3. Pros and cons of Graham formula. The biggest pros of Graham’s formula is its ease and straightforwardness. You do not require any difficult input or complex calculations to find the intrinsic value of a company using the Graham formula. In a few easy calculation steps, this method can help the investors to define the upper range of their purchase price in any stock. However, as no valuation method is perfect, there are also a few cons of Graham formula. For example, one of the important inputs of Graham formula is EPS. Anyways, EPS can be manipulated a little by the companies using the different loopholes in the accounting principles, and it such scenarios the calculated intrinsic value might be misleading. Another problem with Graham formula is that like most valuation methods, this formula also completely ignores the qualitative characteristics of a company like Industry characteristics, management quality, competitive advantage (moat) etc while calculating the true value of stocks. 4. Real life example of valuing stocks from Indian stock market using graham formula. Now that you understood the basics of how you can value stocks using graham formula, let us use this formula to perform a basic stock valuation of a real-life example from the Indian stock market. (Past 5-year EPS growth rate per annum (CAGR) of Hero motocorp is 14.14%. Taking 30% safety on this growth rate as it is a large cap, we can estimate a conservative expected future growth rate of 9.89% for next few years). At the time of writing this post, hero motocorp stock is trading at a market price of Rs 2961.90 and PE (TTM) of 15.90. Therefore, by using Graham formula, we can consider this stock to be currently undervalued. Disclaimer: The case study used above is just for educational purpose and should not be considered as a stock advisory. Please research the company carefully before investing. After all, no one cares more about your money than you do. You can also use Trade Brains’ online GRAHAM CALCULATOR to perform your calculations fast. An important point worth mentioned here is the concept of margin of safety that Benjamin Graham repeatedly taught in his books. 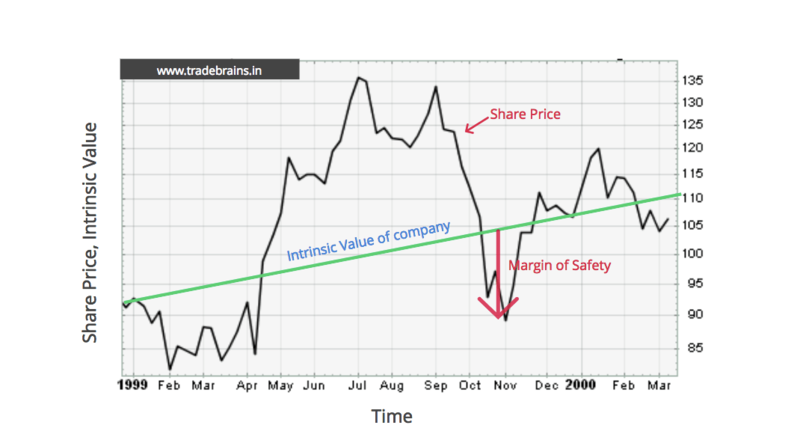 In simple words, according to the concept of margin of safety, if the calculated intrinsic price of a company turns out to be Rs 100, always give your calculations a little safety and purchase the stock at a 15-25% below that calculated value, i.e. when the stock trades below Rs 75-85. Overall, Graham formula is a fast, simple and straightforward method to find the intrinsic value of stocks. If you haven’t tried it yet, you should definitely use this valuation approach while performing the fundamental analysis of any stock. What is Internal Rate of Return (IRR)? And How Does it Works? What is the Internal Rate of Return (IRR)? And How Does it Works? Hi readers. A lot has been covered in our blog since inception, we have written articles ranging from the basics of financial statements to concepts of valuation. A reader who has followed our blog from the beginning should now be able to perform a detailed analysis of a company and arrive at a valuation for investment. To our ever growing list of posts, today we shall add one that seeks to provide a method for calculating the rate of return of a portfolio. This method is called as Internal Rate of Return (IRR). The IRR method to measure the portfolio performance has become a lot popular in recent days because of its effectiveness over CAGR measurements. That’s why you need to get acquainted with what actually is IRR and how to quickly calculate it. The topics we shall read about in today’s post are as follows. How is IRR different from CAGR and how is it more useful? Application of IRR method of return calculation with an example. It’s going to be a very informative post. So, let’s get started. 1. What is the Internal Rate of Return (IRR)? Theoretically speaking, IRR is the rate at which the net cash flows (both inflow as well as outflow) from an investment would be equal to zero. Better said, it is the rate of return to be achieved by all the money invested to give back all the cash received. 2. How is IRR different from CAGR and how is it more useful for investors? Although CAGR is a classic investment metric for calculating investment returns and makes a better representation of performance than average returns since it assumes the investment capital to be compounded over time. But it makes a couple of assumptions which may hinder its practical use. Firstly, it assumes that the compounding process is a smooth one over time with steady returns being made every year. Secondly, it assumes that a portfolio incurs cashflow only two times during its lifetime. One at the very beginning when an investment is made and the second when the investment is sold and cash is returned to the investor. In practice rarely do we come across such scenarios where an investment is made only once, most of us happen to make regular investments over time and hence the overall return may actually be different than what the CAGR method of calculation may usually project it to be. In such cases of multiple or uneven investment periods and cash flows, the CAGR method of calculation becomes futile and using the Internal Rate of Return method would better serve the purpose. Mathematically, the IRR calculation is represented by the following expression. Where P0, P1, . . . Pn equals the cash flows in periods 1, 2, . . . n, respectively; And, IRR equals the investment’s internal rate of return. 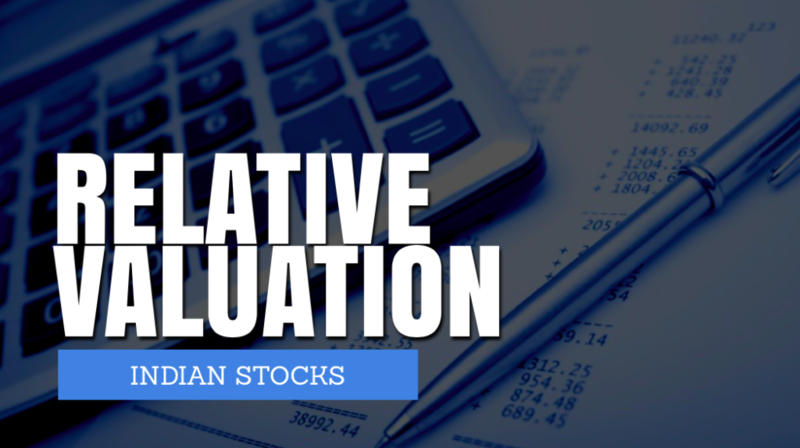 Also read: How to perform the Relative Valuation of stocks? 3. Application of IRR method of return calculation with an example. Assume we bought a stock ₹3,00,000. Also, assume that we bought an additional ₹1,00,000 worth of stock one year later and another ₹50,000 in the two years later. Mathematically speaking IRR cannot be computed analytically, but thanks to calculators and spreadsheets today this task can be done fairly easily. Using the XIRR function in an excel we get the IRR for this scenario as 11.80%, which is the rate that makes the present value of the investment’s cash flows equal to zero. If we were to calculate the CAGR for the example for an initial investment of ₹4,50,000 and final cash return of ₹7,50,000 over a period of 5 years we would get a but the incorrect return of 10.8%. Quick Note: If you want to learn how to perform fundamental analysis of stocks from scratch, feel free to check out this online course- HOW TO PICK WINNING STOCKS. Enroll now and start your journey is the Indian stock market today!! Although initially, the IRR method found applications in the capital budgeting projects of companies, recently it has become a favored method among investors to calculate the capital allocation efficiency of their portfolio. We advise our readers to add this to their ever-growing investing toolkit. Happy Investing. What is Free Cash Flow (FCF)? Explained in Just 1,000 Words. Hi Investors. One of the most popular topics in company valuation is the Free cash flow. If you are involved in the fundamental analysis of stocks, you definitely have heard about this term. Nevertheless, for beginners, free cash flow can be a mystery. What is a free cash flow? Why is free cash flow important? 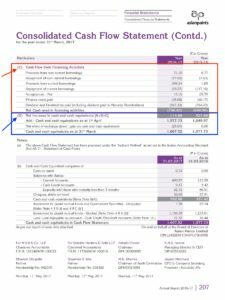 How to calculate free cash flow of a company? 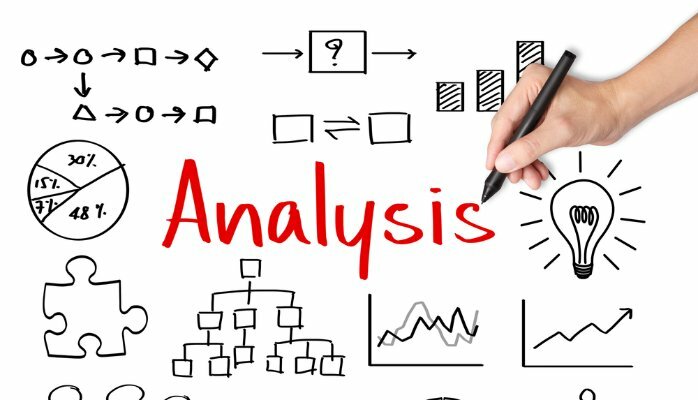 How to analyze the free cash flow? This might be one of the most important articles for the people interested to learn stock valuations. Therefore, read this post completely. Let’s get started. 1. What is a Free Cash Flow (FCF)? Free cash flow is the cash that is available for all the investors of the company. It represents the excess cash that a company is able to generate after spending the money required for its operation or to expand its asset base. Now, you might be wondering what is so ‘FREE’ about this cash flow and how it is different from the earnings of the company? Here you need to understand that not all income is equal to cash. If a company is making earnings, it doesn’t mean that it can spend all the income directly. The company can only spend the free cash. There is a crucial difference between ‘cash’ versus ‘cash that can be taken out of a business’, or in accounting terms: cash from operating activities and free cash flow (FCF). The cash from operating activities is the amount of cash generated by the business operations of a company. However, not all of the cash from operating activities can be taken out of the business because some of it is required to keep the company operational. These expenses are called capital expenditures (CAPEX). 2. 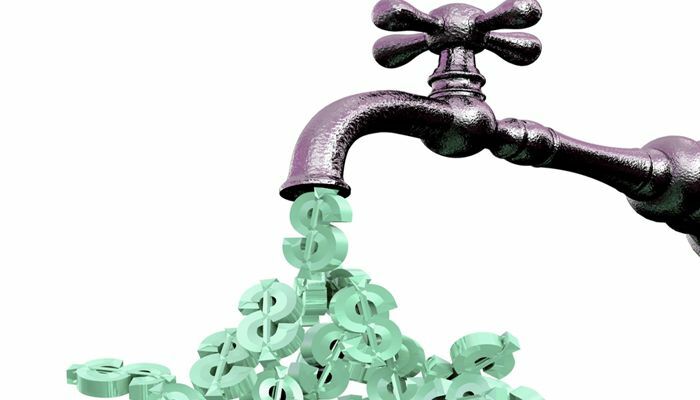 Why is free cash flow important? It’s important for an investor to look into the free cash flow of a company carefully because it is a relatively more accurate method to find the profitability of a company than the company’s earnings. This is because earnings show the current profitability of the company. On the other hand, the free cash flow signals the future growth prospects of the company as this is the cash that allows the company to pursue opportunities to enhance shareholder’s value. Free cash flow reflects the ease with which businesses can grow or pay dividends to the shareholder. The excess cash can be utilized by the company in expanding their portfolio, developing new products, making useful acquisitions, paying dividends, reducing debt or to pursue any other growth opportunity. Further, free cash flow is also used as the input while calculating the intrinsic value of a company using the popular valuation technique- Discounted cash flow (DCF) Model. 3. 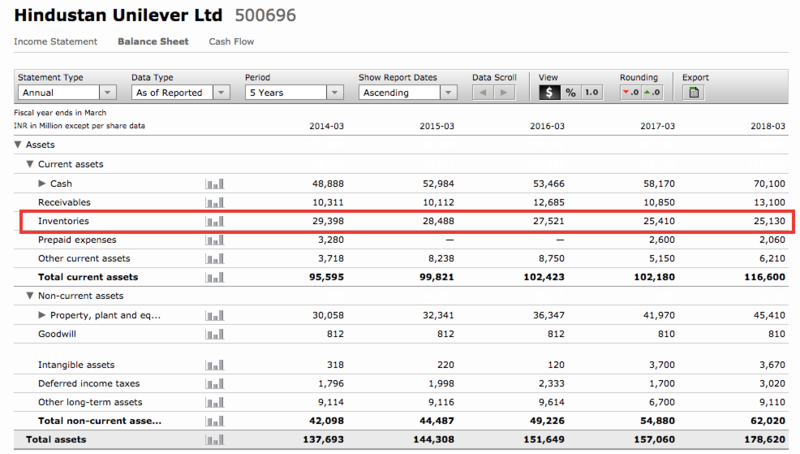 How to calculate free cash flow of a stock? Companies in the stock market are not obliged to publish their free cash flow. That’s why you can’t find FCF directly in the financial statements of the companies. However, the good point is that it is easy to calculate them. 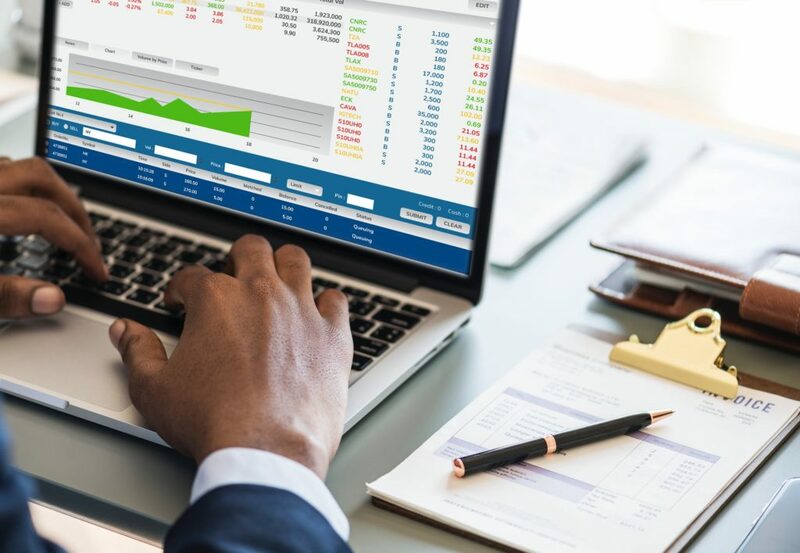 To calculate the free cash flow of a stock, you’ll require its financial statements i.e income statement, balance sheet, and cash flow statements. There are two calculation methods to find Free cash flow of a company. Free cash flow is calculated as cash from operations minus capital expenditures. Quick Note: To make the things simpler, SCREENER.IN has already made the free cash flow of the stocks available on their website. Feel free to check it out. Nevertheless, we advise our readers to do the calculations themselves to avoid any algorithm miscalculations. 4. How to analyze the free cash flow of a company? 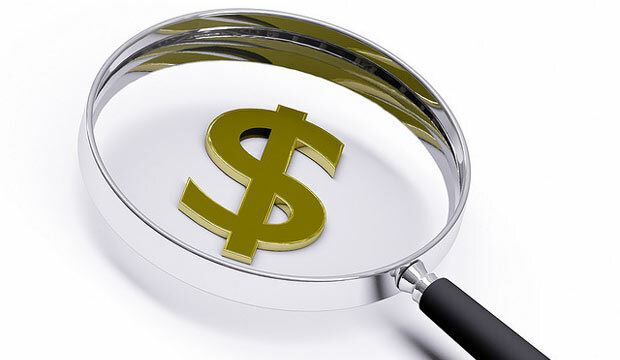 While studying the cash flow of a company, it is important to find out where the cash is coming from. The cash can be generated either from the earnings or debts. While an increase in cash flow because of the increase in earnings is a good sign. However, the same is not true with debts. Moreover, if two companies have a same free cash flow, it doesn’t mean that they have a similar future prospect. Few industries have a higher capital expenditure compared to other industries. Further, if the Capex is high, you need to investigate whether the reason for the high capital expenditure is due to expenses in growth or expenditure. In order to learn these, you have to read the quarterly/annual reports of the companies carefully. Negative FCF of a company. A consistently declining or negative free cash flow of a can be a warning sign for the investors. Negative free cash flow is dangerous because it may lead to slow down in the business. Further, if the company didn’t improve its free cash flow, it might face insufficient liquidity to stay in the business. Quick Note: If you want to learn free cash flow and discounted cash flow (DCF) model in depth, feel free to check out this online course: HOW TO PICK WINNING STOCKS? 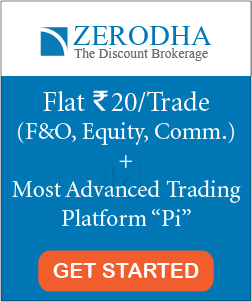 Enroll now and learn stock valuation techniques today. In this post, we discussed the Free cash flow (FCF). It is a measure of a company’s financial performance. Free cash flow represents how much cash a company has left from its operations i.e. the cash that could be used to pursue opportunities that improve shareholder value. However, the absolute value of the free cash value doesn’t tell you the whole story. You have to find out where this cash is coming from and how the company is using it. Whether they are spending this money effectively on operations like giving healthy dividends, buybacks, acquisitions etc- or not. And finally, a consistent negative free cash flow of a company might be a warning sign for the investors. That’s all for this post. I hope it was useful to you. Happy Investing!! A Complete Guide on Enterprise Value and Equity Value. Enterprise Value and Equity Value are two terms that have confused investors and sometimes professionals alike through the years. In this post, I shall try to clear some air on both the terms and help our readers figure out the one they need to use during their analysis of companies. Who are the different stakeholders in a firm? What is the level of risk associated with the level of ownership? 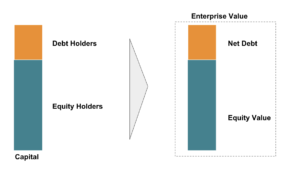 What is Enterprise Value and Equity Value and how are they calculated? On a broad level, this will be long, but an easy read and we would really appreciate that our readers leave comments in case of any doubts. 1. Who are the different stakeholders in a firm? To understand the concept of Enterprise Value and Equity Value, it would first be necessary to understand the different players in the capital markets and their claims on a company’s capital and income. To understand this, picture a company like a big country with different religious and social groups with each group seeking to pursue their own interest but somehow still manage to operate under the common banner of a company. Note that the two groups can be further divided into subgroups depending on the priorities of each subgroup. 2. What is the level of risk and return associated with the level of ownership? In corporate finance, when an asset is sold the debt holders get a priority to the funds generated from the sale and then the different classes of equity holders. Since debt holders normally take fixed payments at the regular periods regardless of the profit-generating capacity of a company, their position tends to be the one of minimum risk in the company’s capital structure. The equity holders, on the other hand, get dividends only when the company makes a profit (in most cases) and also happen to pledge their money as owners of the firm without the promise of returns. This makes their position the riskiest within the capital structure. 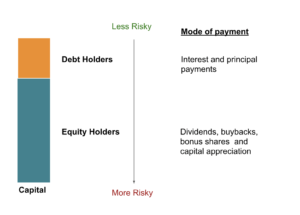 The below infographic should summarise the relationship between capital and relevant risk and payments for different equity and debt holders. 3. What is Enterprise Value and Equity Value and how are they calculated? Now to address the crux of this post, assume that a big financial investor wants to buy a company. Let us say he wants to get 100% control of the firm and also 100% of the earnings generated by the firm. 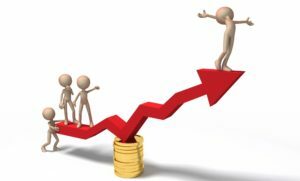 To achieve the first goal, he would just have to buy the stakes of equity holders of the firm, these equity holders could include the Minority Interest, the Preferred Shareholders, and the Common Shareholders. The money the buyer would have to expend to acquire the complete equity of all the above-mentioned groups is what is known as the Equity Value. Now since the equity holders are of the picture, the buyer now turns his eyes towards the debt holders. To make the debt holders give up claims to the company’s earnings (in the form of interest and principal payments), our buyer would have to pay them cash equivalent to the debt they hold in the company. A lot of the times, the buyers use the cash and cash equivalents of the company they bought to pay off the debt outstanding on the balance sheet. In finance, the term used for the is called the Net Debt. 4. What are the Enterprise Value and Equity Value multiples? The key difference between Enterprise Value and Equity Value is the inclusion of the Net Debt figure in the calculation. So when we think of multiples only terms which have the payments related to debt (interest) should be included with Enterprise Value and the metrics devoid of debt payments (interest) should be included with Equity Value. The following figure should give the summary of the financial statement components used with both Enterprise Value and Equity Value. 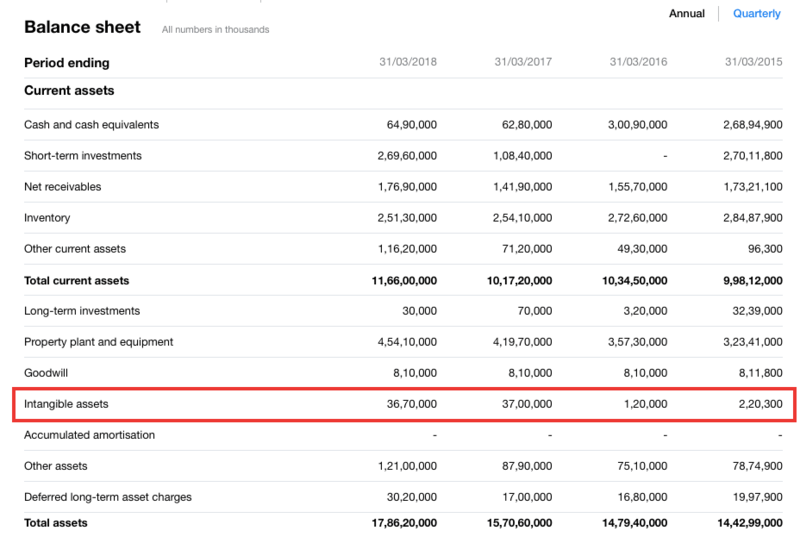 As mentioned earlier, please note in the income statement that all metrics which include interest is included with the Enterprise Value calculation. The multiples of Enterprise Value and Equity Value can be used extensively in the valuation analysis of a company. The two methods of valuation that are commonly used are relative valuation and historical valuation. The limitation of using the relative valuation method is that during the period of elevated valuations- during a bull market all our comparable companies may be trading at a premium, this may sometimes make our target company seem cheap when it is only less expensive. Similarly, during periods of depressed valuations, our target company may look expensive compared to our comparables when it is actually only slightly less cheap. Although a lot of retail investors do not use Enterprise Value multiples in their valuations to could be useful to do so since the resulting valuations are inclusive of the leverage the companies have employed in their business activities. 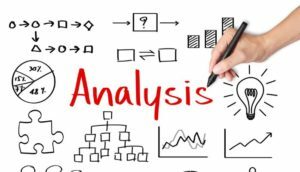 In case retail investors find the concept of Enterprise value confusing, it should not deter them from performing a good analysis of companies if they use other leverage evaluation methods in their research and analysis process. We hope our readers continue to embrace an objective approach to their valuation processes while performing stringent quality checks on the stocks they invest in. Happy Investing. How to use Treasury Stock Method to Calculate Diluted Shares? How to use the Treasury Stock Method to Calculate Diluted Shares? In this post, we will cover how employee stock options are converted into common stock and learn how to calculate the incremental contribution to a number of outstanding shares (NOSH). What is the common term associated with stock options? Main kinds of stock options given to employees and management? What is the treasury stock method and why is it called so? It’s going to a little lengthier post. However, it will definitely be worth reading if you want to learn the dilution basics. So, let’s get started. Employees and managers who are rewarded stock options get the twin benefit of capital appreciation of the stock in the market and also of the lower capital gains tax for investments held over the period of 1 year. 2. What are the common terms associated with stock options? Vested and non-vested shares: When a stock option is owned by an individual and he/she retains the right to exercise them when they wish so, the option is said to be vested. Non-vested shares options, on the other hand, represent those which are still owned by the company and the transfer of ownership to the individual hasn’t occurred yet. In-the-money / out-the-money: When the trading price of a stock above the exercise price of the option is then said to be the in-the-money option, while it is said to out-the-money when the share price is below the exercise price (and then rendering the exercising such options useless). 3. What are the main kinds of stock options given to employees and management? In most annual reports investors may come across different types of stock options, the common ones are (but not limited to) ESOPs or employee stock options, Restricted Stock Units (RSUs), Performance Stock Units (PSUs). These are awards that entitle individuals to ownership rights to a company’s stock. Normally, these are subject to restrictions with regard to the sale of the stock or option until they become vested. The vesting event is determined by minimum service or performance conditions set by the company for the employee. However, during the restricted period, the individuals may have voting rights and the right to the dividends owed to restricted shares. Performance Stock Shares are restricted stock shares that vest upon the achievement of performance conditions specified by the company. These shares are generally subject to sale restrictions and/or risk of forfeiture until a specific performance measurement is satisfied. Performance measurements are set by your company. During the restricted period you may have voting rights and the right to dividends paid on the restricted shares, which may be paid to you in cash or may be reinvested in additional performance shares. Once vested, the performance shares are usually no longer subject to restriction. 4. What is the treasury stock method and why is it called so? The most commonly used method within the finance industry to calculate the net additional shares (from exercising the in-the-money options and warrants) is the treasury stock method (TSM). 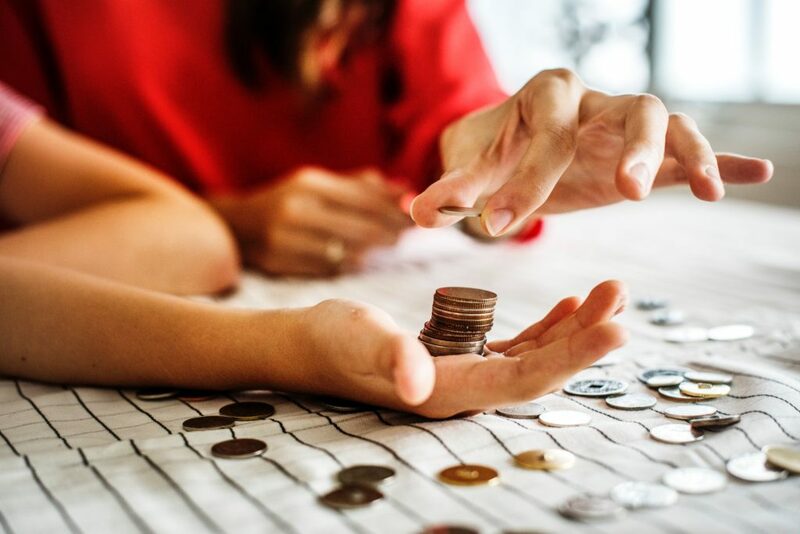 Here, it is important to note that the TSM makes an assumption that the proceeds the company receives from in-the-money option exercises are subsequently used to repurchase common shares in the market. Repurchasing those shares turns them into shares held in the company’s treasury, hence the eponymous title. The broad assumptions in the TSM are as follows. Firstly, it assumes that the options and warrants are exercised at the start of the reporting period and that a company uses the proceeds to purchase common shares at the average market price during the period. This is clearly implied within the TSM formula. Imagine a scenario where a company has an outstanding total of in-the-money options and warrants for 15,000 shares. Assume that the exercise price of each of these options is around ₹400. The average market price of the stock, however, for the reporting period is ₹550. Assuming all the options and warrants outstanding are exercised, the company will generate 15,000 x ₹400 = ₹60,000 in proceeds. Using these proceeds, the company can buy ₹6,000,000 / ₹550 = ~10909 shares at the average market price. Thus, the net increase in shares outstanding is 15,000 – 10,909 = 4,091 shares. This can also be found by simply using the last formula provided above. The net increase in shares outstanding is 15,000 (1 – 400/550) = 4,091. Although options can be a force used for good as described at the beginning of this post it is not always a very innocuous tool. Since almost always, options are more complicated than cash payments there arises a potential for companies to manipulative the rewarding scheme to incentivize the management too much (beyond what is considered acceptable) at the expense of the shareholders. Another problem can sometimes arise when a firm holds options or convertible debt offerings in another publicly traded company, there have been cases in the stock market history where such firms have gained majority control in the publicly traded company and subsequently initiated multiple activist campaigns against the management and in extreme cases have ended up owning the company entirely (a lot of the times at the expense of minority shareholders). An argument which is sometimes overseen but nonetheless is credible when understanding options are that options incentive management to undertake risky decisions. These could sometime come in the ugly form of management cutting corners to influence the stock prices in the short term so that the options they hold may become exercisable. It is also not uncommon to see situations where management undertakes short-term risks that may eventually outweigh long-term gains for the shareholders. The number of options which are awarded: make sure that excessive amounts in addition to the existing cash packages are not paid out to the management and employees unless deserved. That’s all for this post. I hope it was useful to the readers. Happy Investing. How Dilution Affects the Company’s Valuation? Dilution of a company’s shares is a common scenario in the equity market. However, there is multiple effects on the valuation of the company in terms of market value and EPS (earning per share) calculation after dilution. In this post, we are going to discuss how dilution affects the company’s valuation. How to identify companies where dilution is likely? Calculation of shares outstanding after dilution. This is going to be a technical yet interesting post and we would advise our readers to read this carefully. Feel free to reach out to us or post comments in case of any doubts or clarifications. Simply define dilution is the term used to describe the reduction in ownership or voting rights in a company. Let’s understand this through the following example. Assume a Company A’s equity is divided into 100 shares and we own 10 shares in the company, i.e we own 10% equity in the company. Now, let us assume that the company decided to fund its expansion plans by issuing new shares in the stock market (follow-on offerings). So, on the day of issue, the company issued 100 new shares in the market and a foreign firm with interests in the Indian market acquired all of the new shares issued. Now, the company’s new equity is broken up into 200 shares out of which the foreign investor owns 100 shares (50% of equity) while we own 10 shares (5% of equity). 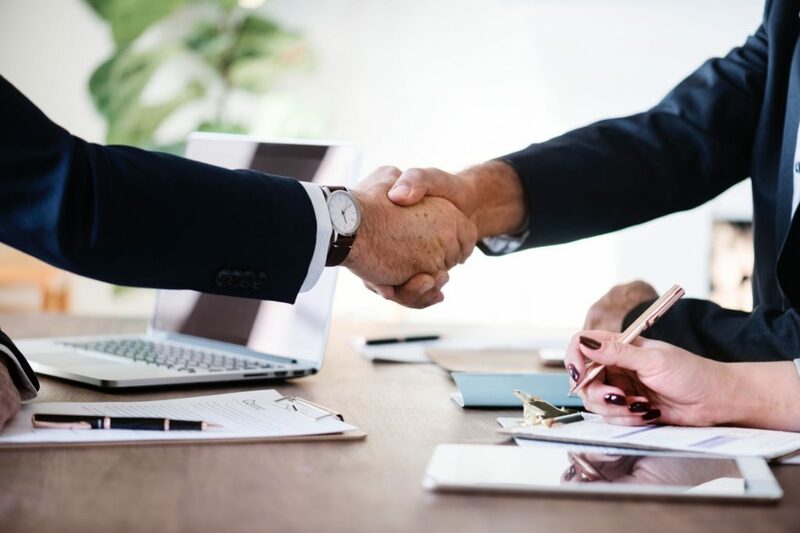 In the example, the follow-on offering is said to be dilutive for the company’s shareholders since their effective ownership has decreased in the firm. 3. How to identify companies where dilution is likely? In most cases dilution happens when the company has desperate needs for infusing capital into its operations. Since modern financial ecosystem provides multiples routes and opportunities to achieve this aim, the most common strategies used by companies are to raise capital through debt offerings or through the issuance of new shares in the secondary public markets. In case the company raises money through debt, this route need not always result in dilution of equity holdings for the investors. Dilution through debt happens only in case the company pledges to give its equity as collateral for a certain amount of debt. Also read: How to Find the Shareholding Pattern of a Company? 4. How to calculate the shares outstanding after dilution for calculating market cap? The calculation of the new shares from convertible preferred shares and convertible debt are pretty straightforward since most of the time these shares and debt are issued at a fixed conversion rate. For example, Assume a Company ABC has issued 1000 preferred shares and 50,000 convertible bonds amounting ₹50 Lakh in debt. Also, the company on the date of issue stated that each of the 10 shares of preferred shares could be converted for 1 common share and 5,000 of the bonds could be converted for 100 common shares. The newly issued shares post-dilution would be the sum of 100 (from preferred shares) and 1,000 (from convertible bonds) which is equal to 1,100 new shares. If you are new to stocks and want to learn stock market investing from scratch, then check out this amazing online course- How to pick winning stocks? This course is currently available at a discount. Enroll now and start your journey in the exiciting world of stock market today. 5. How dilution affects the company’s valuation? Due to the rise in the total number of shares outstanding after the dilution, Market Value may change significantly after dilution, depending on the extent of the dilutive effect of the newly issued shares. The formula for calculating Market Value remains the same, except that we will now use. Total Diluted Shares Outstanding instead of Total Common Shares Outstanding. The impact on earnings per share due to dilution is may become quite profound depending on the extent of dilution and is very important since EPS is very commonly used by investors in the final calculation of the intrinsic value of a stock. Since companies normally get a tax benefit for interest paid on debt, after dilution this benefit is no longer applicable and we may see our net income being boosted by the after-tax amount of debt. In this post. we understood the impact of dilution on the valuation with the help of equity dilution example. Today, we learned that dilution can have a significant impact on the Market Value and EPS calculations of a company and may distort the true value if it is not incorporated during the analysis of a company. Since dilution mostly comes at the expense of the common investor, we advise that our readers scrutinize the annual report to find whether dilution is good or bad for them. A careful look at the financial statements is required to make the necessary changes during dilution analysis. Afterall, a decrease in the existing shareholder’s ownership in a company also means a decreased profits. That’s all for this post. I hope this is helpful to the readers. Happy Investing. When you are investing for the long-term, it can be sensibly concluded that the only cash flow that you will receive from a publicly traded company will be the dividends, till you sell the stock. Therefore, before investing it may be justifiable to calculate the dividends cash flow that you’ll receive while holding the stock. 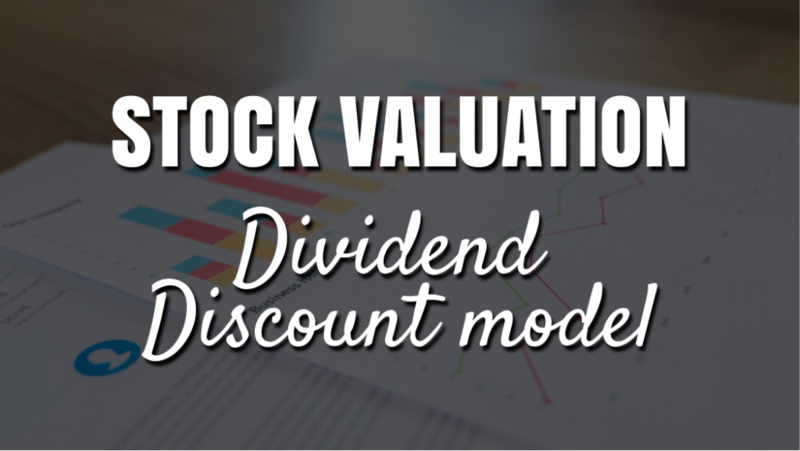 Dividend discount model (DDM) uses the same approach to find the worth of a stock. In financial words, dividend discount model is a valuation method used to find the intrinsic value of a company by discounting the predicted dividends that the company will be giving (to its shareholders in future) to its present value. Once, this value is calculated, it can be compared with the current market price of the stock to find whether the stock is overvalued or decently valued. Don’t worry if you find this concept a little difficult to grasp right now. Read the post until the very end and this model will become crystal clear to you. What is Dividend Discount Model (DDM)? Dividend discount model aims to find the intrinsic value of a stock by estimating the expected value of the cash flow it generates in future through dividends. This valuation model is derived from the net present value (NPV) and time value of money (TVM) concept. g= expected dividend growth rate. 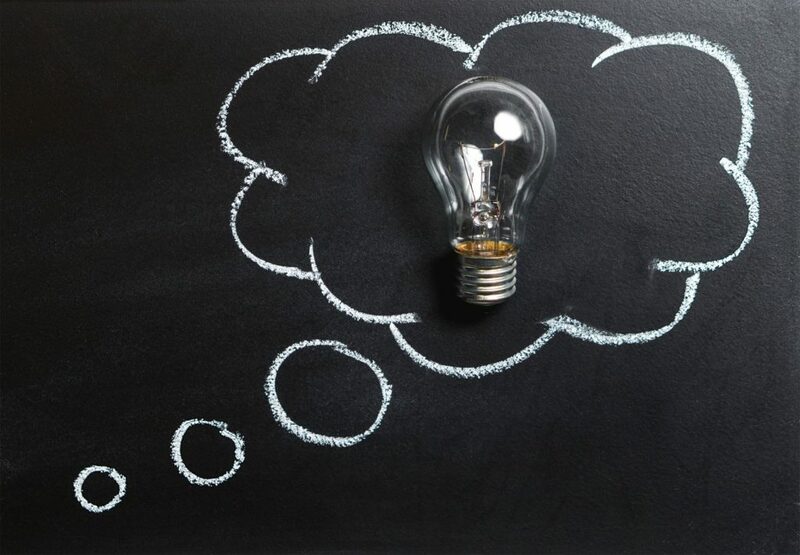 Assumptions: While calculating the value of a stock using dividend discount model, the two big assumptions made are future dividend payments and growth rate. Limitations: Dividend discount model (DDM) does not work for companies that do not provide dividends. Also read: Valuation Basics: What is the Time Value of Money (TVM)? The dividend growth rate (g) can be found using the company’s historical dividend growth. ROE and payout ratio can be determined using company’s financial statements. An easier approach would be to refer financial websites like Money control, investing etc. You can find these values on most of the financial websites. Also read: #19 Most Important Financial Ratios for Investors. In the dividend discount model, if you want to get an annual return of 10% for your investment, then you should consider the rate of return (r) as 0.10 or 10%. Further, r can also be calculated using Capital asset pricing model (CAPM). Under this model, the discount rate is equal to the sum of risk-free rate and risk premium. The risk premium is calculated as the difference between the market rate of return and the risk-free rate of return, multiplied by the beta. For example, for a company, if the beta is 1.5, the risk-free rate is 3% and the market rate of return is 7%. Risk premium= ((7% – 3%)x1.5) = 6%. Now that you have understood the basics of Dividend Discount Model, let us move forward and learn three types of Dividend Discount Models. The Zero growth dividend discount model assumes that all the dividends that are paid by the company remain same forever (until infinity). Therefore, here the dividend growth rate (g) is zero. Let us understand this further with the help of an example. Example 1: Assume company ABC gives a constant annual dividend of Rs 1 per share till perpetuity (lasting forever). The required rate of return on the stock is 5%. Then what should be the purchasing price of the stock of company ABC? Value of stock (P) = Div/r =1/0.05 = Rs 20. Therefore, the purchasing price of the stock ABC should be less than Rs 20 to get the required rate of return of 5% per annum. As the company grows bigger, it is expected to increase company’s dividend per share. The dividend cannot be constant till perpetuity. Also read: Why You Need to Learn- Porter’s Five Forces of Competitive Analysis? Div= Dividend at the zeroth year. Note: If you want to learn how the derive the above formula, you can find it here. Let us solve an example to find the share price of a company with Gordon growth model. Example 2: Assume a company QPR has a constant dividend growth rate of 4% per annum for perpetuity. This year the company has given a dividend of Rs 5 per share. Further, the required rate of return for the company is 10% per annum. Then, what should be the purchase price for a share of company QPR? Therefore, you should purchase the stock at a price below Rs 86.67 to get a required rate of return of 10% per annum. The constant growth rate for perpetuity is not valid for most of the companies. Moreover, Newer companies have fluctuating dividend growth rate in the initial years. The calculation is sensitive to the inputs. Even a small change in the input assumption can greatly alter expected value of the share. High growth problem. If the dividend growth rate becomes higher than the required rate of return i.e. g>r, then the value of the share price will become negative, which is not feasible. Also read: SWOT Analysis for Stocks: A Simple Yet Effective Study Tool. The multi-level growth rate for dividends model may divide the growth rate into two or three phases (according to the assumption). Further, in the three-stage growth DDM Model, the first stage will be a fast initial phase, then a slower transition phase an then ultimately ends with a lower rate for the infinite period. For example- A company XYZ’s dividend may grow at 5% rate for the first 7 years, 3% rate for the next 4 years and finally 2% rate in perpetuity. If you are interested to read more, here is an amazing source to learn the multi-level growth rate dividend discount model. The biggest drawback with the multi-level growth rate of dividend discount model is that’s it’s really difficult to assume the growth rate in small specific periods. There are a lot of uncertainties involved while making these assumptions when the growth is distributed at multiple levels. Plenty of assumptions about the dividend growth and company’s future. This valuation model is good only as far the assumptions are good. Most of the inputs of DDM model keeps on changing and susceptible to error. Not feasible for few categories of stocks like Growth stocks. These stocks pay little or no dividends but rather use the company profit in their growth. DDM might never find these stock suitable for investment no matter how good the stock is. Also read: Efficient Market Hypothesis -The Only Theory That You Need to Read Today. Most of the analysts ignore dividend discount model while valuing the stock price because of its limitations as discussed above. However, for few specific stocks (like stable dividend paying stocks), DDM remains a useful tool for evaluating stocks. Dividend discount model is a simple and straightforward method of stock valuation. It demonstrates how the stock value can be calculated by a simple approach of discounting future cash flows. Anyways, I will highly recommend to never invest in a stock based on just DDM valuation. 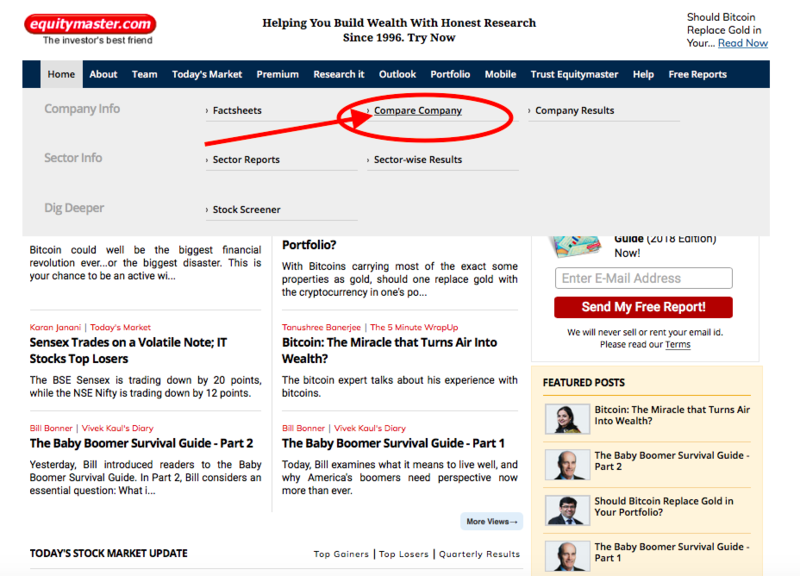 Use other financial tools like ROE, PE etc to cross-verify the conclusions before investing. In the end, I would like to add that although DDM is criticised for the limited use, however, it has proved useful in the past. In addition, here is an amazing quote regarding valuation by one of the greatest investor of all time, Warren Buffett. Also read: How to do the Relative Valuation of stocks? How to do the Relative Valuation of stocks? – Benjamin Graham, father of value investing. Valuation is one of the most important aspects of investing in stocks. You might be able to find a good company, but if you not evaluating its price correctly, then it might turn out to be a bad investment. 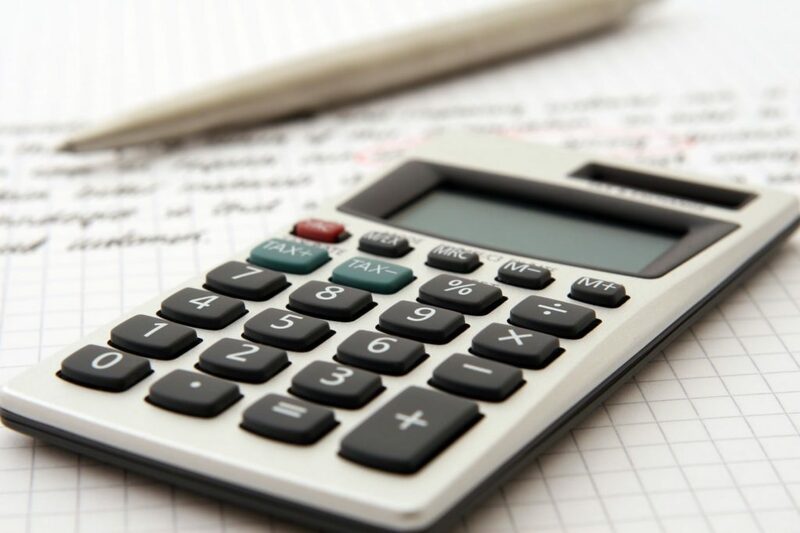 The absolute valuation tries to determine the intrinsic value of the company based on the estimated free cash flows discounted to their present value. The discounted cash flow model (DCF) is the most common approach for the absolute valuation. However, there are few limitations of using absolute valuation as you will require to make few assumptions and the results are only as good as inputs. Nevertheless, this post is not focused on the absolute valuation and we’ll discuss more in another post where you will require to understand a lot of complex terms like future free cash flow projections, discount rate (weighted average cost of capital- WACC) etc to find the estimated present value. In this post, we are going to discuss how to do the relative valuation of stocks. Relative valuation of stocks is an alternative to the absolute valuation. It’s an easier approach to determine whether a company is worth investing or not. Relative valuation compares the company’s value to that of its competitors, industry average or historical performace to find the company’s financial worth. It’s similar to comparing the different houses in the same locality to find the worth of a house. Let’s say if most of the 3BHK apartment in a locality costs around 70 lakhs and you are able to find a similar 3 BHK apartment which costs 50 lakhs, then you can consider it cheap. Here, you do not find the true worth of the apartment but just compare its price with the similar competitors. 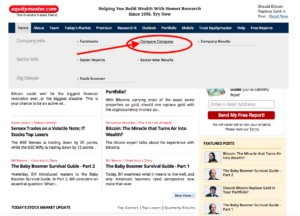 This is one of the most famous relative valuation tool used to investors all across the world. The concept of PE ratio is described beautifully in the Benjamin Graham’s book “THE INTELLIGENT INVESTOR”, which Warren buffet considers as one of the best book ever written on investing. I will highly recommend you to read this book. However, PE ratio value varies from industry to industry, therefore always compare the PE of companies only in the same industry. As a thumb rule, a company with lower PE ratio is considered under-valued compared to another company in the same sector with higher PE ratio. The book value is referred as the net asset value of a company. 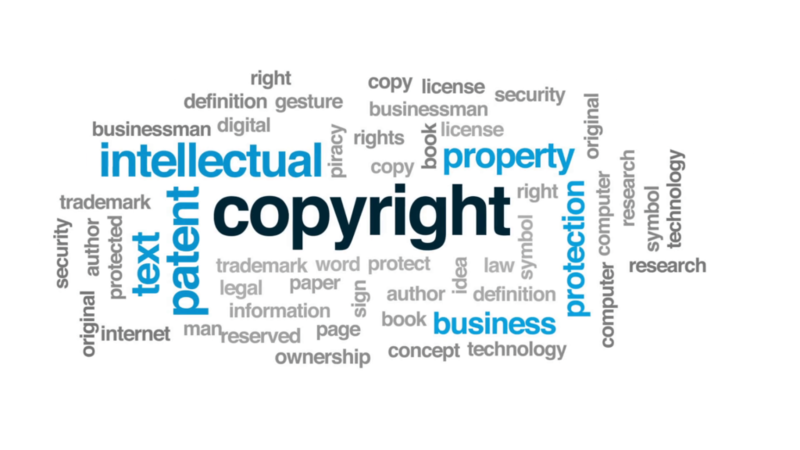 It is calculated as total assets minus intangible assets (patents, goodwill) and liabilities. As a thumb rule, companies with lower P/B ratio is undervalued compared to the companies with higher P/B ratio. The P/BV ratio is compared only with the companies in the same industry. It shows how good is the company in rewarding its shareholders. A higher ROE means that the company generates a higher profit from the money that the shareholders have invested. Always invest in companies with high ROE. How to estimate the relative value of stocks? For estimating the relative value of stocks, you need to set an accurate benchmark. The companies that you are comparing should be from the same industry and it’s even better if they have similar market capitalization (for example, a large-cap should be compared large-cap companies). Let’s say that there are 5 companies in an industry and the average price to earnings ratio of the industry turns out to be 20. Now, if the price to earnings value of the company that you are validating is 15, then it can be estimated to be relatively cheaper compared to the stocks in the same industry. Similarly, you can use multiple financial ratios to find the relative value of the stocks. The relative valuation approach does not give an exact result (unlike discounted cash flow) as this approach is based on the comparison. It’s assumed that the market has valued the companies correctly. If all the companies in the Industry are overvalued, then the relative valuation approach might give a misleading result for the company which you are investigating. Where to find the relative multiples for comparing Indian stocks? I’ve already discussed most of these websites in my earlier posts. You can read more about them here. In this post, I’m going to converse about a new website which I hadn’t discussed in any of my earlier articles. It’s Equity Master. Equity master is an amazing website for stock research. While researching a company, you can get its 5-year data from the factsheets. 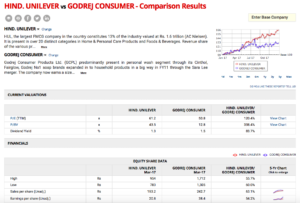 Similarly, if you want to compare two companies, this option is all available on the Equity master. Just go on ‘Research it’ on the top menu bar and click on ‘Compare company’. Enter the name of the two companies and you’ll get the comparisons. It’s an amazing website. Just play around and get familiar with the website. Relative valuation of stocks is a good alternative to the absolute valuation. You can use this approach for a simple yet effective stock picking. 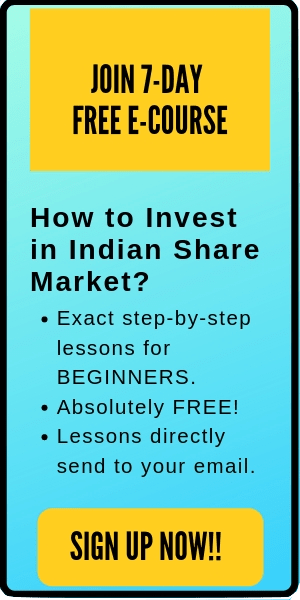 If you want to learn how to invest in Indian stock market from scratch, feel free to check this amazing online course for beginners- “HOW TO PICK WINNING STOCKS?” The course is currently available at a discount. That’s all for this post. I hope it is useful to you. Please comment below if you have any questions. I’ll be happy to help. Reading the financial reports of a company can be a very tedious job. The annual reports of many of the company are over 100 pages which consist of a number of financial jargons. If you do not understand what these terms mean, you won’t be able to read the reports efficiently. Nevertheless, there are a number of financial ratios that has made the life of investors very simple. Now, you do not need to make a number of calculations and you can just use these financial ratios to understand the gist. 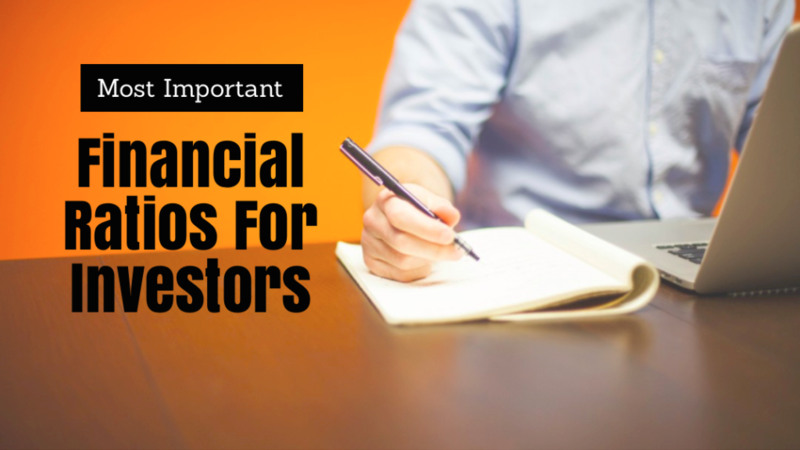 In this post, I’m going to explain 19 most important financial ratios for the investors. We will cover different types of ratios like valuation ratios, profitability ratios, liquidity ratios, efficiency ratios and debt ratios. Please note that you do not need to mug up all these ratios or formulas. You can always google these terms anytime (or when you need). Just understand them and learn how & where they are used. These financial ratios are created to make your life easier, not tough. These ratios are also called price ratios and are used to find whether the share price is over-valued, under-valued or reasonably valued. Valuation ratios are relative and are generally more helpful in comparing the companies in the same sector. For example, these ratios won’t be of that much use if you compare the valuation ratio of a company in an automobile industry with another company in the banking sector. Here are few of the most important Financial ratios for investors to validate a company’s valuation. PE ratio value varies from industry to industry. For example, the industry PE of Oil and refineries is around 10-12. On the other hand, PE ratio of FMCG & personal cared is around 55-50. 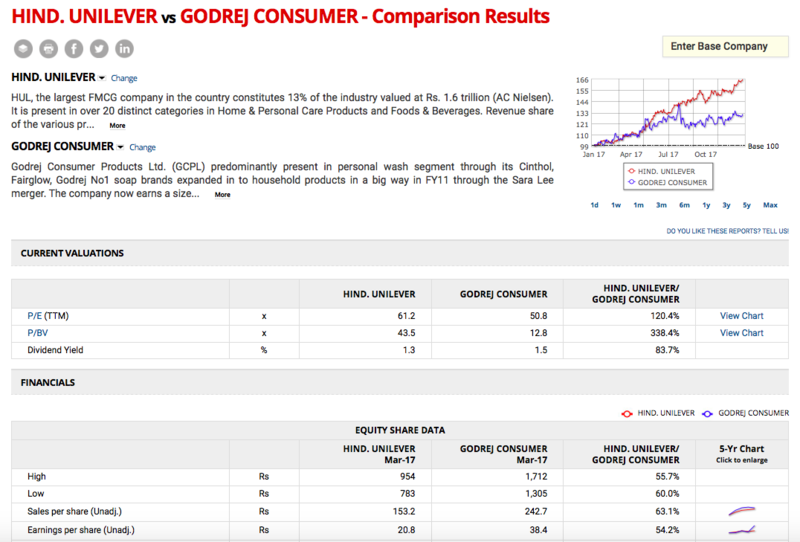 Therefore, you cannot compare the PE of a company from Oil sector with another company from FMCG sector. In such scenario, you will always find oil companies undervalued compared to FMCG companies. A company with lower PE ratio is considered under-valued compared to another company in the same sector with higher PE ratio. Here, you can find book value per share by dividing the book value by the number of outstanding shares. As a thumb rule, a company with lower P/B ratio is undervalued compared to the companies with higher P/B ratio. However, this ratio also varies from industry to industry. PEG ratio or Price/Earnings to growth ratio is used to find the value of a stock by taking in consideration company’s earnings growth. A company with PEG < 1 is good for investment. Stocks with PEG ratio less than 1 are considered undervalued relative to their EPS growth rates, whereas those with ratios of more than 1 are considered overvalued. This is a turnover valuation ratio. EV/EBITDA is a good valuation tool for companies with lots of debts. A company with lower EV/EBITDA value ratio means that the price is reasonable. P/S ratio can be used to compare companies in the same industry. Lower P/S ratio means that the company is undervalued. Now, what dividend yield is good? It depends on the investor’s preference. A growing company may not give good dividend as it uses that profit for its expansion. However, the capital appreciation in a growing company can be large. On the other hand, well established large companies give a good dividend. But their growth rate is saturated. Therefore, it depends totally on investors whether they want a high yield stock or growing stock. As a rule of thumb, a consistent and increasing dividend over past few years should be preferred. Companies do not distribute its entire profit to its shareholders. It may keep few portion of the profit for its expansion or to carry out new plans and share the rest with its stockholders. For an investor, steady dividend payout is favorable. Moreover, dividend/Income investors should be more careful to look into dividend payout ratio before investing in dividend stocks. Also read: Where should I invest my money? Profitability ratios are used to measure the effectiveness of a company to generate profits from its business. Few of the most important financial ratios for investors to validate company’s profitability ratios are ROA, ROE, EPS, Profit margin & ROCE as discussed below. A company with higher ROA is better for investment as it means that the company’s management is efficient in using its assets to generate earnings. Always select companies with high ROA to invest. As a rule of thumb, companies with increasing Earnings per share for the last couple of year can be considered as a healthy sign. A company with steady and increasing profit margin is suitable for investment. Capital employed is the total number of capital that a company utilizes in order to generate profit. It can be calculated as the sum of shareholder’s equity and debt liabilities. As a rule of thumb, invest in companies with higher ROCE. While investing, companies with a current ratio greater than 1 should be preferred. This means that the current assets should be greater than current liabilities of a company. It is also called as acid test ratio. Current ratio takes accounts of the assets that can pay the debt for the short term. The quick ratio doesn’t consider inventory as current assets as it assumes that selling inventory will take some time and hence cannot meet the current liabilities. A company with the quick ratio greater that one means that it can meet its short-term debts and hence quick ratio greater than 1 should be preferred. Higher the asset turnover ratio, better it’s for the company as it means that the company is generating more revenue per rupee spent. This ratio is used for those industries which use inventories like the automobile, FMCG, etc. Inventory turnover ratio tells how good a company is at replenishing its inventories. Average collection period is used to check how long company takes to collect the payment owed by its receivables. It is calculated by dividing the average balance of account receivable by total net credit sales and multiplying the quotient by the total number of days in the period. 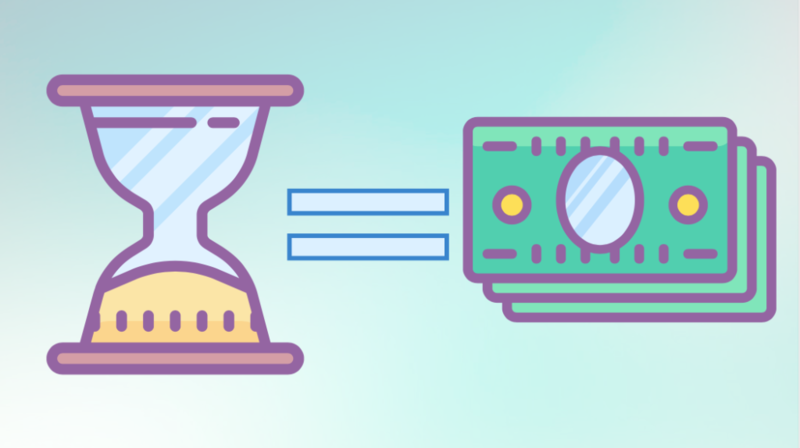 Average collection period should be lower as higher ratio means that the company is taking too long to collect the receivables and hence is unfavorable for the operations of the company. Also read: 10 Must Read Books For Stock Market Investors. It is used to check how much capital amount is borrowed (debt) vs that of contributed by the shareholders (equity) in a company. As a thumb rule, invest in companies with debt to equity ratio less than 1 as it means that the debts are less than the equity. Always invest in a company with high and stable Interest coverage ratio. As a thumb rule, avoid investing in companies with interest coverage ratio less than 1, as it may be a sign of trouble and might mean that the company has not enough funds to pay its interests. If you are new to stock market and want to learn to select good stocks for investing, here is an amazing online course on HOW TO PICK WINNING STOCKS for beginners. Check it out now. That’s all. I hope this post on the most important Financial ratios for investors is useful to the readers. In case I missed any important financial ratio, feel free to comment below. How to read financial statements of a company? If you want to invest successfully in the stock market, you need to learn how to read and understand the financial reports of a company. Financial statements are tools to evaluate the financial health of the company. 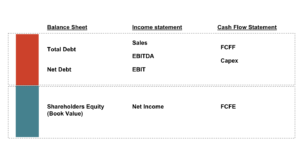 In this post, I am going to teach you the basics of how to read financial statements of a company. To be honest, you won’t find this post very interesting. Many of the points might sound complex. However, it’s really important that you learn how to read financial statements of a company. Reading and understanding the financials of a company differentiates an investor from a speculator. First of all, a few things that you need to know. Where can you get the financial statements of a company? Further, if you are using any other source, make sure that the reports are correct and not tempered. In India, Securities exchange board of India (SEBI) regulates the financials announced by the company and try to keep it as fair as possible. 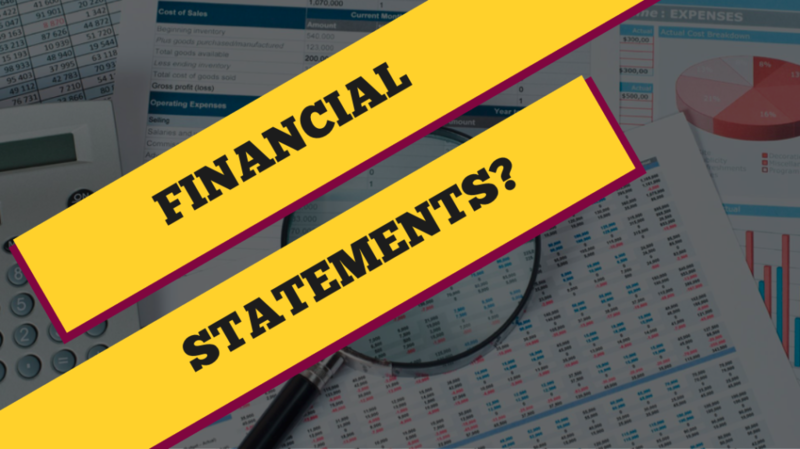 Now, let us understand the different financial statements of a company. Let’s understand each statement one-by-one. A balance sheet is a financial statement that compares the assets and liabilities of a company to find the shareholder’s equity at a specific time. You can easily understand this with an example from day to day life. If you own a computer, car, house etc then it can be considered as your asset. 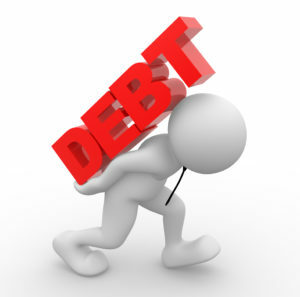 Now your personal loans, credit card dues etc are your liabilities. When you subtract your liabilities from your assets, you will get your net worth. The same is applicable to companies. However, here we define net worth as the shareholder’s equity. Now, why are balance sheets important? 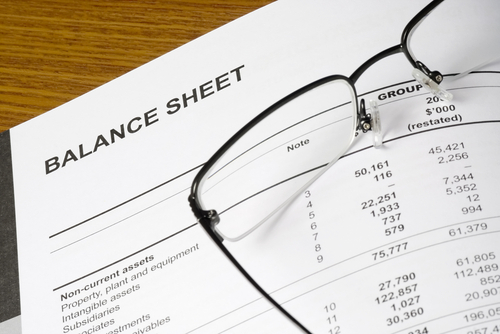 The balance sheet helps an investor to judge how a company is managing its financials. The three balance sheet segments- Assets, liabilities, and equity, give investors an idea as to what the company owns and owes, as well as the amount invested by shareholders. Current (short-term) assets: These are those assets that can be quickly liquidated into cash (within 12 months). For example cash and cash equivalents, inventories, account receivables etc. Non-Current (Fixed) assets: Those assets which take more than 12 months to converted into cash. 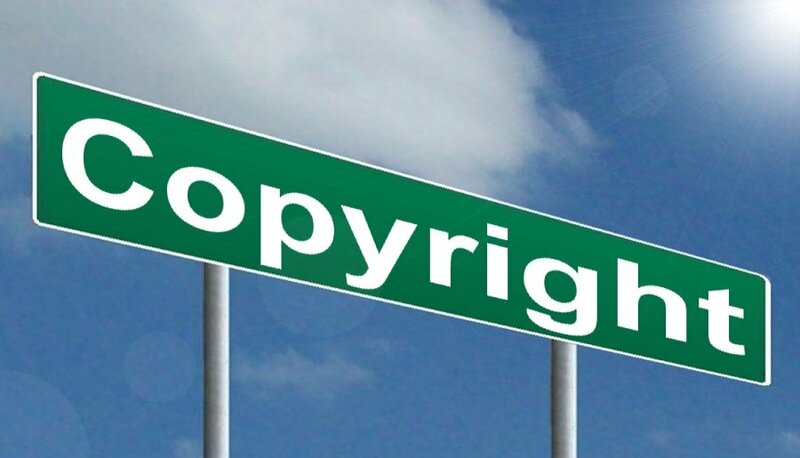 For example- Land, property, equipment, long-term investments, Intangible assets (like patents, copyrights, trademarks) etc. The sum of these assets is called the total assets of a company. Current liabilities: These are the obligations that need to be paid within 12 months. For example payroll, account payable, taxes, short-term debts etc. Non-current (Long-term) liabilities- There are those liabilities that need to be paid after 12 months. For example long-term borrowings like term loans, debentures, deferred tax liabilities, mortgage liabilities (payable after 1 year), lease payments, trade payable etc. Now, let us understand these segments with the help of the balance sheet of a company from the Indian stock market. Here is the balance sheet of ASIAN PAINTS for the fiscal year 2016-17. I have downloaded this report from the company’s website here. Please note that there are always at least 2 columns on the balance sheet for consecutive fiscal years. It helps the readers to monitor the year-on-year progress. Although the balance sheet looks complicated, however, once you learn the basic structure, it’s easy to understand how to read financial statements of a company. There are three segments in the balance sheet of Asian paints: Assets, equity, and liability. It adheres the basic formula of the balance sheet: Assets = Liabilities + Shareholder’s equity. Please note that the first column of asset (TOTAL ASSETS = 9335.60) is equal to the second & third column of equity and liabilities (TOTAL EQUITY & LIABILITY = 9335.60). There are much more points to cover in balance sheet topic, however, it’s not possible to explain everything in a single blog post. You can learn in great depth about balance sheet in my online course- HOW TO PICK WINNING STOCKS? Check it out now. Now, let us move to the second important financial statement of a company. This is also called profit and loss statement. 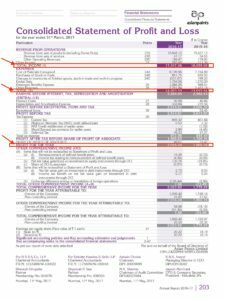 An income statement summarizes the revenues, costs, and expenses incurred during a specific period of time (usually a fiscal quarter or year). In simple words, what a company ‘takes in’ is called revenue and what a company ‘takes out’ is called expenses. The difference in the revenues and expenses is net profit or loss. Note: The revenue is called TOP LINE and net income is called the bottom line in the income statement. Most of the investors check the income statement of a company to find its earning. Moreover, they look for the growth in the earnings. It’s preferable to invest in a profit-making company. A company cannot grow if the underlying business is not making money. The top line (revenue) increased by 8.04% in the fiscal year 2016-17. On the other hand, the bottom line (net profit) increased by 11.84% (Rs 1802.76 Cr –> Rs 2016.24 Cr) in the from the fiscal year 2015-16 to the fiscal year 2016-17. This shows that the management has been able to increase the profits are a better pace compared to the sales. This is a healthy sign for the company. For Asian paints, the diluted EPS also increased from Rs 18.19 in the year 2015-16 to Rs 20.22 in year 2016.17. This is again a positive sign for the company. Last part of a company’s finances is its cash flow statement. Cash flow statement (also known as statements of cash flow) shows the flow of cash and cash equivalents during the period under report and breaks the analysis down to operating, investing and financing activities. . It helps in assessing liquidity and solvency of a company and to check efficient cash management. Cash from operating activities: This includes all the cash inflows and outflows generated by the revenue-generating activities of an enterprise like sale & purchase of raw materials, goods, labor cost, building inventory, advertising, and shipping the product etc. 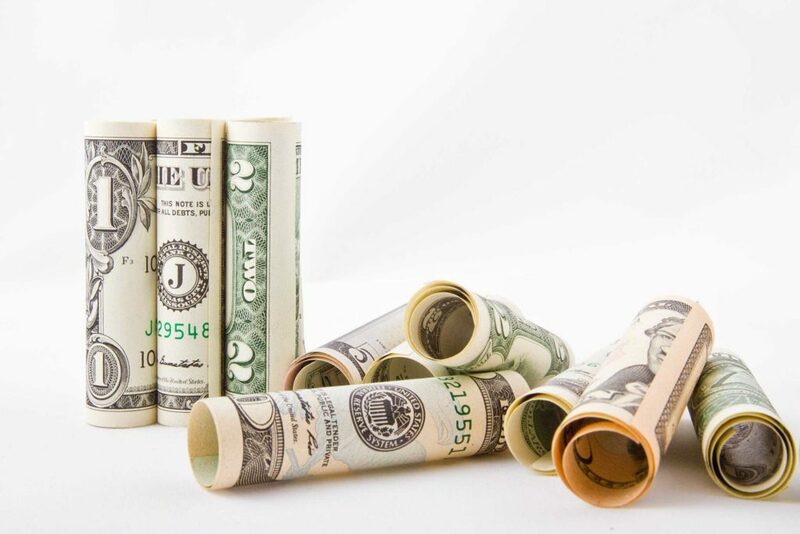 Cash from investing activities: These activities include all cash inflows and outflows involving the investments that the company made in a specific time period such as the purchase of new plant, property, equipment, improvements capital expenditures, cash involved in purchasing other businesses or investments. Cash from financial activities: This activity includes inflow of cash from investors such as banks and shareholders by getting loans, offering new shares etc, as well as the outflow of cash to shareholders as dividends as the company generates income. They reflect the change in capital & borrowings of the business. In simple words, there can be cash inflow or the cash outflow from all three activities i.e. operation, investing and finance of a company. The sum of the total cash flows from all these activities can tell you how much is the company’s total cash inflow/outflow in a specific period of time. Here is the Cash flow statement of Asian paints for the fiscal year 2016-17. 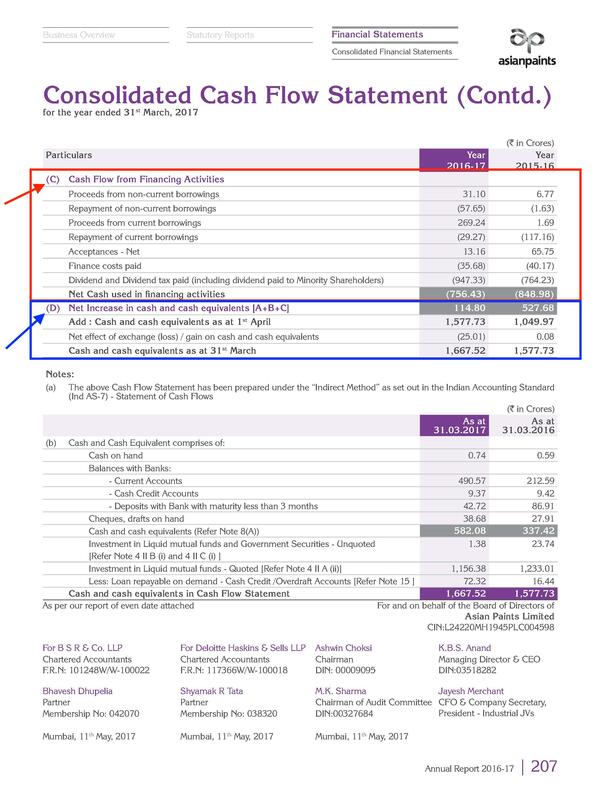 From the Asian paints cashflow statement, we can notice that the net cash from operating activities has declined from Rs 2,242.95 Crores to Rs 1,527.33. This may be little troublesome for the company as the net cash from operating activities shows how much profit the company is generating from its basic operations. As a thumb rule, an increase in the net cash from operating activities year over year is considered a healthy sign for the company. However, while comparing also look at the data for multiple years. Quick note: In financial statements, generally accountants do not use the negative sign. For example, if the expense is to be deducted, it is not written as -40. When writing minus sign, accountants use parentheses (—). For the same example, it will be written as (40), not -40. It’s important to read and understand all the three financial statements of a company as they show the health of a company from different aspects. 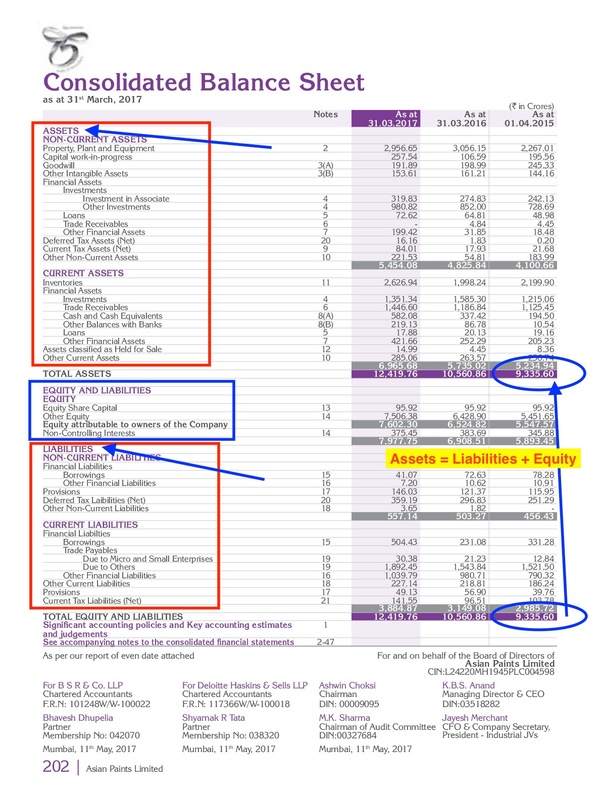 The balance sheet shows the assets and liabilities of a company. 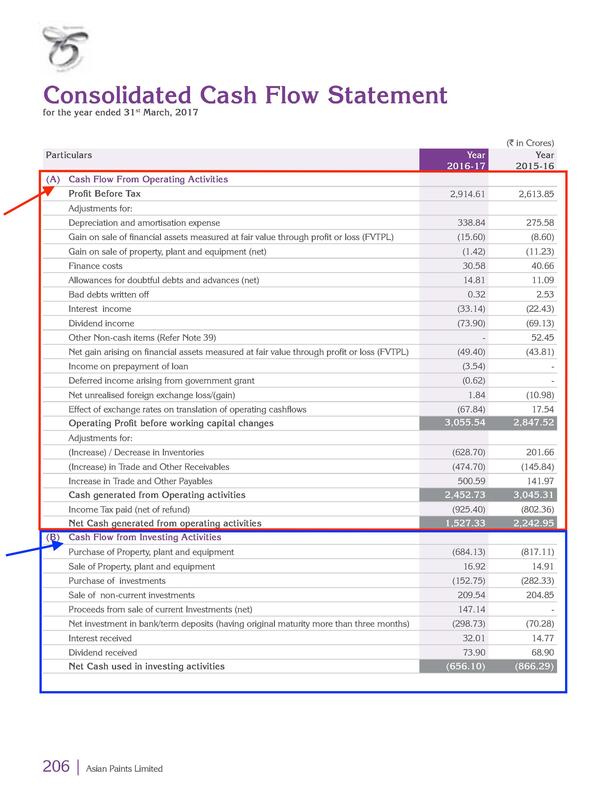 The income statement shows how much profit/loss the company has generated from its revenues and expenses. Cash flow statement shows the inflows and outflows of cash from the company. While investing in a company, you should pay special attention to all these financial aspects of a company. As a thumb rule, invest in a company with high-income growth, large assets compared to its liabilities and a high cash flow. That’s all! 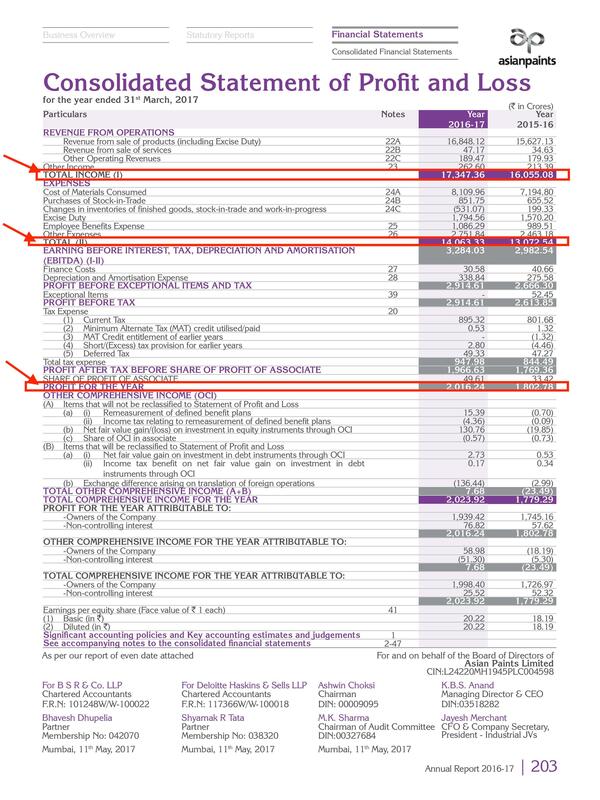 This is how to read financial statements of a company. 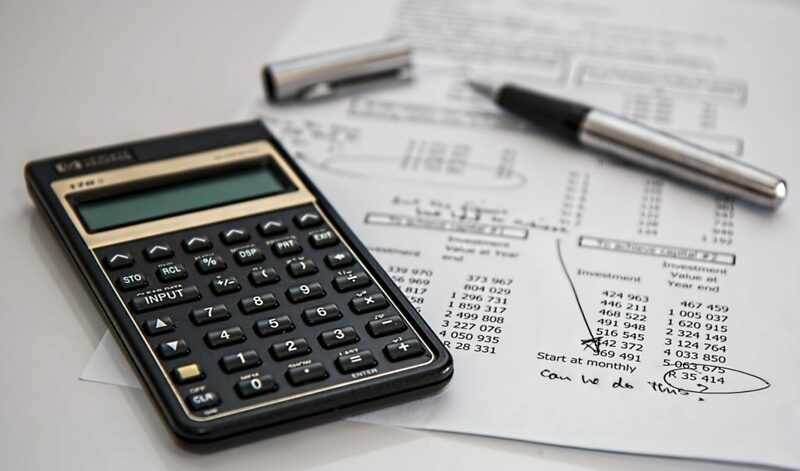 Although it’s not enough, however, this post aims to give a basic idea to the beginners about the financial statements of a company. If you want to learn (in details) about where to find the financial statements of an Indian company and how to effectively study the reports, feel free to check out my online course on HOW TO PICK WINNING STOCKS here. I have explained everything about financial statements in this course. Further please comment if you have any questions. I’ll be happy to help you out. 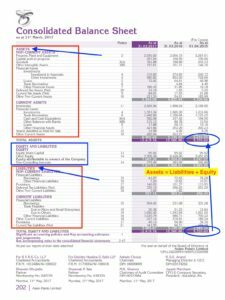 8 Financial Ratio Analysis that Every Stock Investor Should Know. The valuation of a company is a very tedious job. It’s not easy to evaluate the true worth of a company as the process takes the reading of company’s several years’ financial statements like balance sheet, profit and loss statements, cash-flow statement, Income statement etc. 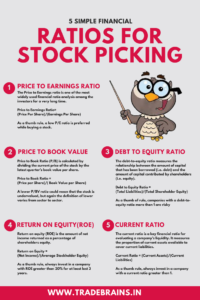 Although it really tough to go through all these information, however, there are various financial ratios available which can make the life of a stock investor really simple. Using these ratios they can choose right companies to invest in or to compare the financials of two companies to find out which one is better. This post about ‘8 Financial Ratio Analysis that Every Stock Investor Should Know’ is divided into two parts. In the first part, I will give you the definitions and examples of these 8 financial ratios. In the second part, after financial ratio analysis, I will tell you how and where to find these ratios. So, be with me for the next 8-10 minutes to enhance your financial knowledge. So, let’s start the first part of this post with the financial ratio analysis. Quick note: You don’t need to worry about how to calculate these ratios or remember the formulas by-heart, as it will be already given in the financial websites. However, I will recommend you to go through this financial ratio analysis as it’s always beneficial to have good financial knowledge. This is one of the key ratios and is really important to understand Earnings per share (EPS) before we study other ratios. EPS is basically the profit that a company has made over the last year divided by how many shares are on the market. Preferred shares are not included while calculating EPS. From the perspective of an investor, it’s always better to invest in a company with higher EPS as it means that the company is generating greater profits. Also, before investing in a company, you should check it’s EPS for the last 5 years. If the EPS is growing for these years, it’s a good sign and if the EPS is regularly falling or is erratic, then you should start searching another company. 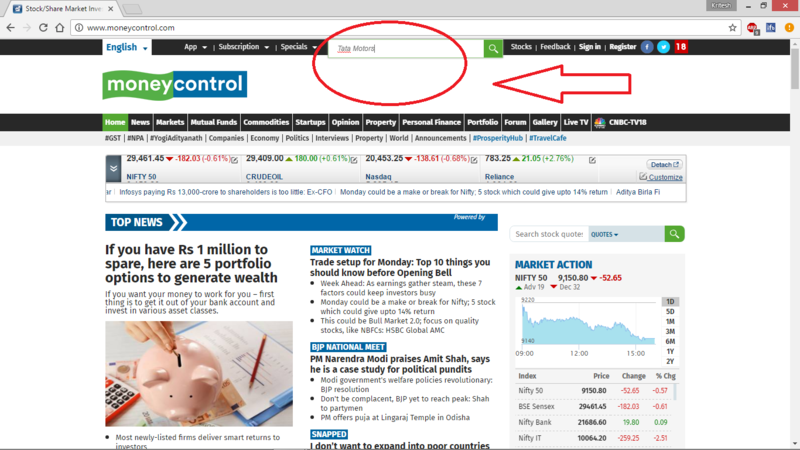 It’s easier to find the find the price of the share as you can find it at the current closing stock price. For the earning per share, we can have either trailing EPS (earnings per share based on the past 12 months) or Forward EPS (Estimated basic earnings per share based on a forward 12-month projection. It’s easier to find the trailing EPS as we already have the result of the past 12 month’s performance of the company. Price to Book Ratio (P/B) is calculated by dividing the current price of the stock by the latest quarter’s book value per share. P/B ratio is an indication of how much shareholders are paying for the net assets of a company. Generally, a lower P/B ratio could mean that the stock is undervalued, but again the definition of lower varies from sector to sector. The debt-to-equity ratio measures the relationship between the amount of capital that has been borrowed (i.e. debt) and the amount of capital contributed by shareholders (i.e. equity). Generally, as a firm’s debt-to-equity ratio increases, it becomes riskier A lower debt-to-equity number means that a company is using less leverage and has a stronger equity position. As a thumb of rule, companies with a debt-to-equity ratio more than 1 are risky and should be considered carefully before investing. Return on equity (ROE) is the amount of net income returned as a percentage of shareholders equity. ROE measures a corporation’s profitability by revealing how much profit a company generates with the money shareholders has invested. In other words, ROE tells you how good a company is at rewarding its shareholders for their investment. As a thumb rule, always invest in a company with ROE greater than 20% for at least last 3 years. A yearly increase in ROE is also a good sign. The stock’s price/sales ratio (P/S) ratio measures the price of a company’s stock against its annual sales. P/S ratio is another stock valuation indicator similar to the P/E ratio. The P/S ratio is a great tool because sales figures are considered to be relatively reliable while other income statement items, like earnings, can be easily manipulated by using different accounting rules. As a thumb rule, always invest in a company with a current ratio greater than 1. A stock’s dividend yield is calculated as the company’s annual cash dividend per share divided by the current price of the stock and is expressed in annual percentage. For Example, If the share price of a company is Rs 100 and it is giving a dividend of Rs 10, then the dividend yield will be 10%. It totally depends on the investor whether he wants to invest in a high or a low dividend yielding company. If you want to read further in details, I will recommend you to read this book: Everything You Wanted to Know About Stock Market Investing -Best selling book for stock market beginners. Now that we have completed the key financial ratio analysis, we should move towards where and how to find these financial ratios. I, generally use money control to find the key financial ratio analysis. The mobile app for Money control is also very efficient and friendly and I will recommend you to use the mobile app. 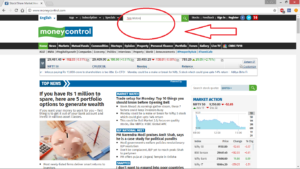 Now, let me show you how to find these key ratios in Money Control. Let’s take a company, Say ‘Tata Motors’. Now, we will dig deep to find all the above-mentioned rations. 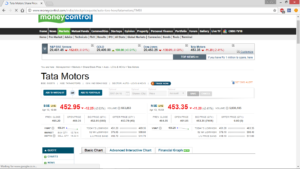 Open http://www.moneycontrol.com/ and search for ‘Tata Motors’. This will take you to the Tata Motor’s stock quote page. Scroll down to find the P/E, P/B, and Dividend Yield. Scroll down to find all the remaining financial ratios. That’s all! These are the steps to do the key financial ratio analysis. Now, let me give you a quick summary of all the key financial ratios mentioned in the post. In addition, here is a checklist (that you should download) which can help you to select a fundamentally strong company based on the financial ratios. Feel free to share this image with ones whom you think can get benefit from the checklist. I hope this post on ‘8 Financial Ratio Analysis that Every Stock Investor Should Know’ is useful for the readers. If you have any doubt or need any further clarifications, feel free to comment below. I will be happy to help you.